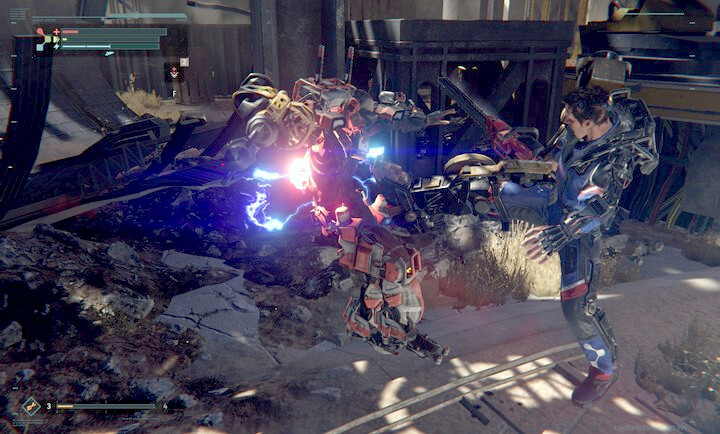 The guide to The Surge will help players complete the game in 100%. It contains a walkthrough for the main story and various advice related to combat, equipment management, character development and item crafting – things that weren’t fully explained in the game. The guide also contains tips for boss fights. It will also help you find all audio logs and secret weapons available in the levels. The last part of the guide is a list of achievements / trophies and information how to unlock them. 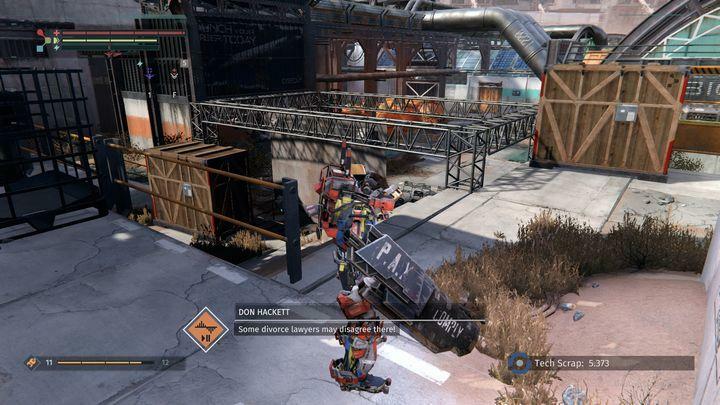 The Surge takes place in a post-apocalyptic world controlled by machines. The protagonist faces robots and modified humans. He has access to an exoskeleton and items that can be obtained in the game world or crafted from the resources. Character development is limited and mostly focuses on modifying and upgrading the exoskeleton with better energy parameters and implants. 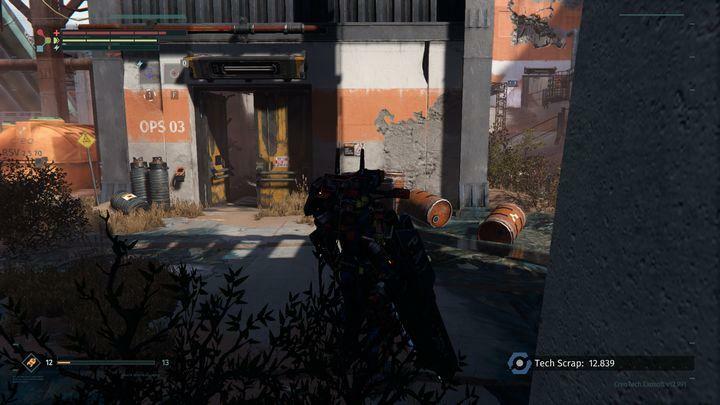 The combat in The Surge isn’t easy, which greatly improves the difficulty of the game, but it is advanced enough for the player to find their own style and perfect it. List of achievements / trophies. 24 pages, 146 images, 6 videos. 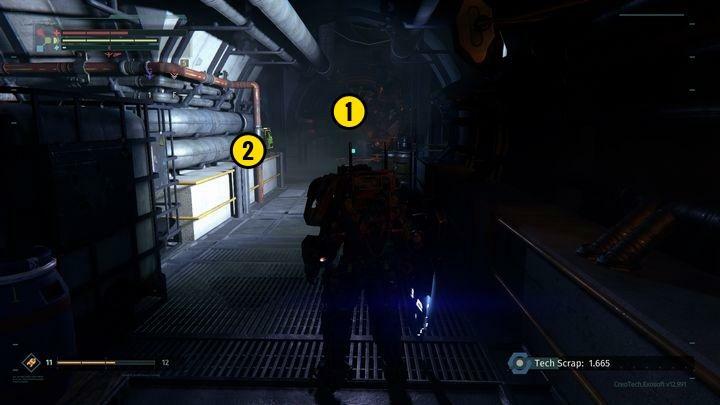 Central Production B | Walkthrough The Surge Guide. 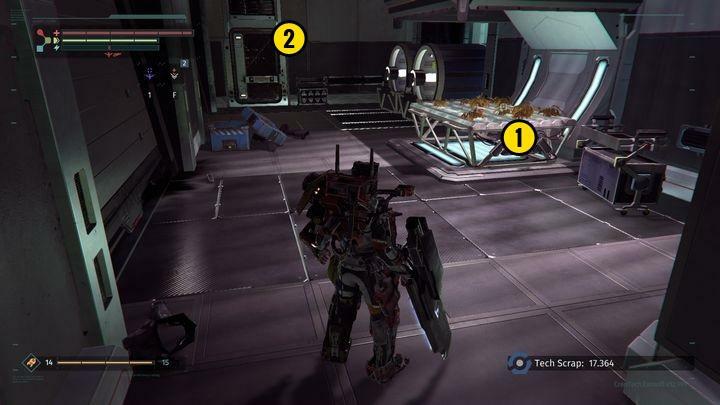 Resolve BioLab | Walkthrough The Surge Guide. 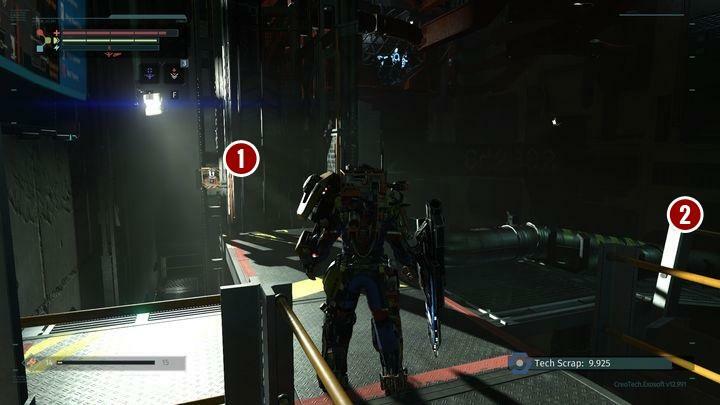 Abandoned Production | Walkthrough The Surge Guide. Ventilation Tower | Walkthrough The Surge Guide. 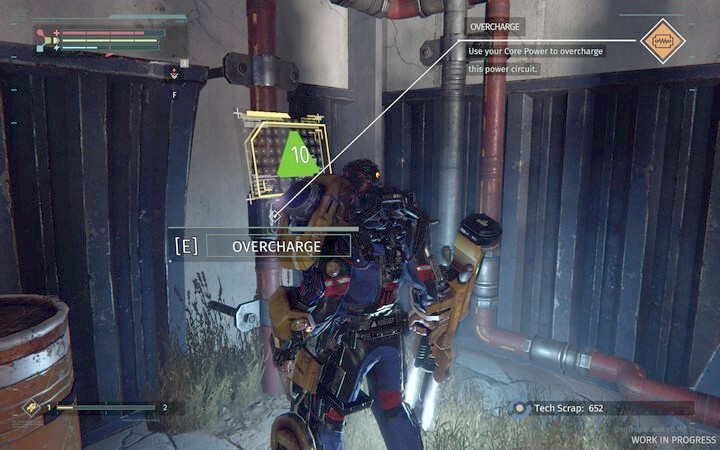 Executive levels | Walkthrough The Surge The Surge Guide. 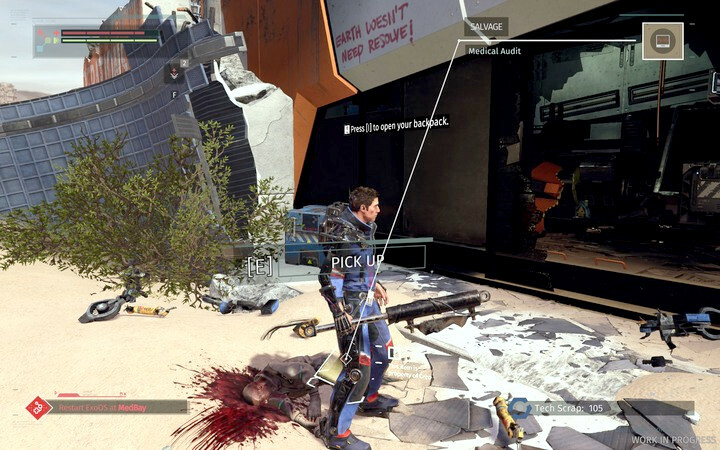 The Surge is an action RPG set in dark science-fiction world. The game takes us 60-70 years in the future, to an age after humanity’s technology has turned against it, bringing ruin to the entire planet. With the advancement of machines, most of the jobs up to now performed by humans became unnecessary. Those who survived were forced to leave the overpopulated towns and head for rural areas looking for work. This post-apocalyptic world is home to artificially modified humans as well as some more inhuman inhabitants. Although most humans use popular exoskeletons, created to boost effectiveness and abilities of people. 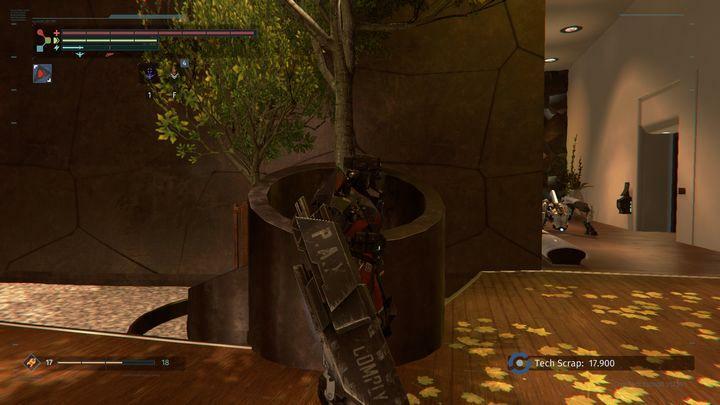 Thus, we don’t play as soldier, but rather an ordinary human in possession of customizable exoskeleton. The game’s world is shown from third-person perspective. Thanks to the employment of modern technology and the aforementioned exoskeletons, the fights are more dynamic than in competing titles. 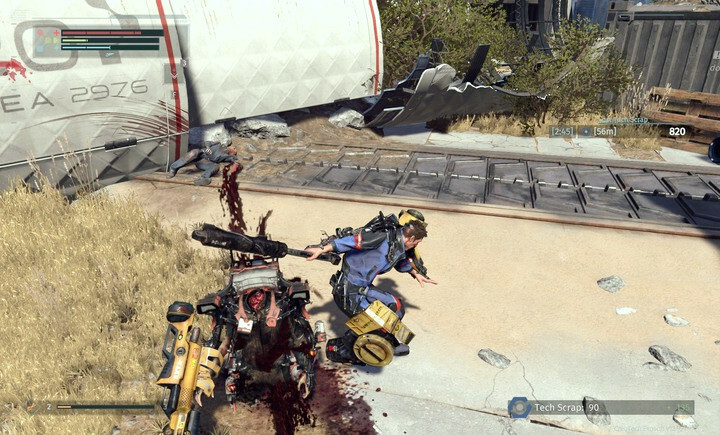 One of the features that sets The Surge apart from competition is its unique and very extensive crafting and upgrade system, which is deeply connected to fighting. Deck13 Interactive – Developer Website. Focus Home Interactive – Publisher Website. 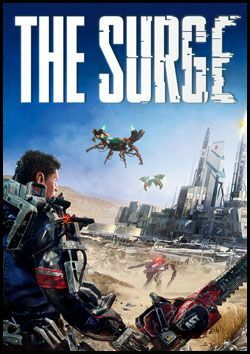 We�ve spoken with the game�s lead designer Timo Treffer and today we can share what we know concerning the differences, initial concepts and the plot of the recently announced science fiction action-RPG � The Surge. In this chapter you will find useful advice that will help you start the game and learn good combat habits. It also contains information about executions and the potential death of the protagonist. You use two keys to attack – horizontal and vertical attack. Early in the game you won’t notice much difference between these attacks, but after some time, once you determine a specific fight style (mostly based on the equipment you wear), you will be able to perform some advanced combinations. By holding a key you increase attack strength but delay its activation. The protagonist cannot climb or jump; he can only jump over obstacles. You should attack while running – this will give you more strength and you might appear behind opponent’s back. However, it is not an effective way while dragging heavy equipment. Your attack can cancel enemy attack attempt. After some time you will learn to recognize the right time to perform a dodge, to defend yourself and to dodge opponent’s attack. However, it is highly dependent on the weapon you use and your equipment (general speed of the character). Learn to jump back – you will save stamina that is used during defence. The defense stance won’t protect you from every attack type. The tracking system will enable you to switch between the limbs of the opponent (if he is a humanoid). However, it doesn’t matter too much if the opponent is fully armored. But when a limb isn’t armored (blue color), you will deal double the damage. Using a single type of weapon (like single handed ones) will impact your familiarity with it, which can increase the speed of attacks and the number of damage you deal. The bar that represents this parameter is shown in the bottom left corner of the screen. The fights with bosses or mini bosses differ from regular fights. During them you must guess what the best way of fighting the opponent is or where you should attack him. Frequently you must use your surroundings or try to defeat the enemy with his own weapon. The player doesn’t die permanently. After his health bar drops to zero, he is taken to a MedBay and the scrap he gathered is dropped. In the right corner of the screen, information appears that shows you how much time you have to gather the items. When you die, all enemies in the area respawn, so if a given stage is too hard for you, fight the local opponents to gain more experience / materials for better equipment. By using the E key you can finish the opponent in a spectacular way with a special attack (execution). This attack doesn’t have special requirements, but it cannot be used on all opponents (for example, it doesn’t work on flying robots). The only requirement is for the enemy to have low health (about 10-20% of the health bar). This attack has two purposes: it enables you to use an attack that doesn’t deplete stamina or to obtain resources / schematics. Let’s focus on the latter: by performing execution on a specific limb, you will randomly receive a damaged piece of a part, material of which it is constructed or a diagram if you don’t have it yet. Attacking an armored limb is harder, so you can attack the opponent wherever you want and switch to the selected limb once you can perform the execution. 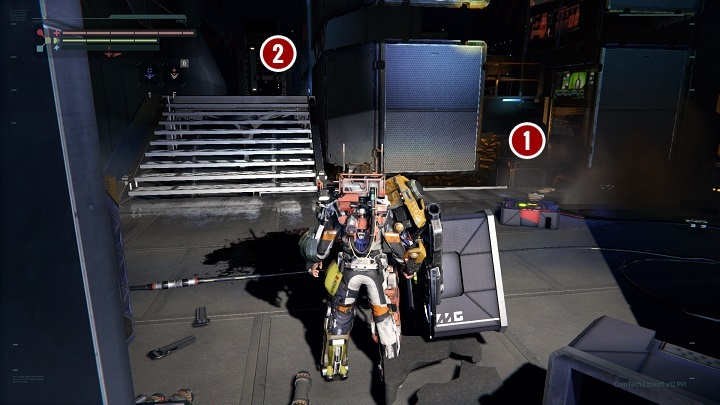 The character development can be combined with the equipment description as pieces of protagonist’s exoskeleton are the main modifiers of his parameters. However, let’s start from the beginning. The protagonist can use varied equipment. However, to do that, the exoskeleton must have enough core energy which enables it to power all the pieces (otherwise he won’t be able to wear them). By killing the enemies and gathering the random loot (and by destroying equipment you don’t need) you are awarded with scrap. It enables you to upgrade your core in the MedBay. New energy levels don’t provide any special skills, but they allow you to overload some energy lines to open closed paths and to use more implants. Scrap is also used to create and upgrade equipment. Because of that, it is important to wisely and skillfully distribute your resources. Notice that when you fight and defeat new opponents, the reward multiplier increases. It resets when you return to MedBay and when you use some healing methods. It can be also impacted by your implants and weapons. You should find balance between your equipment and the multiplier. Sometimes you can also find consumables. They can provide you with various amounts of scrap. You can’t do anything else with them – they are simply bonuses to consume. It is best to use them near a MedBay so that you won’t lose the bonus scrap when something goes wrong. 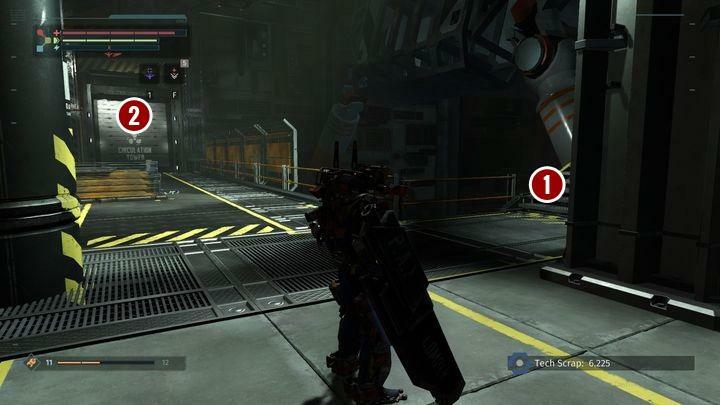 Implants are the main thing that enable you to use new skills (mostly healing) and to use energy – the blue bar that increases during the fight (you can for example trade it for health with an implant). Some implants work passively. 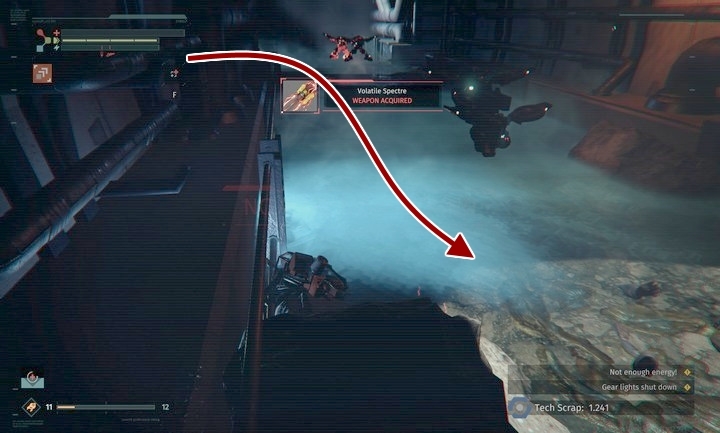 In addition to that, there are implants with much different effects, like showing the health bar above the enemy. You can find them like other items, usually in random places. You can install them in free slots or uninstall them with MedBays. 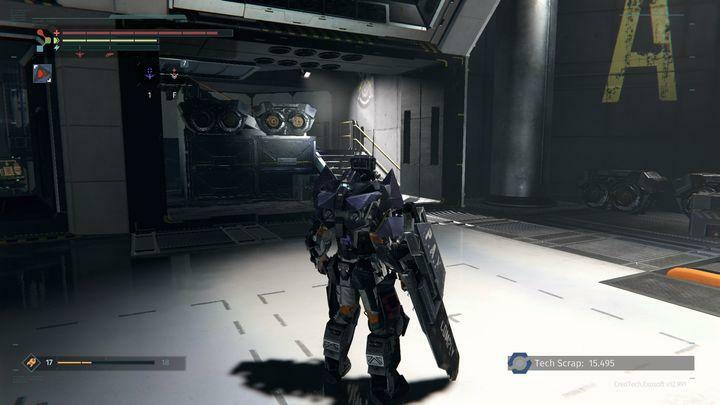 New slots are unlocked by developing the core of the exoskeleton. Each slot has the required level described on it. This chapter describes the first level of the game. The chapter contains information about enemies, basic gameplay mechanics, advice and information about audio logs. It also contains description of the boss fight and location of secret weapons. You start the game among ruins, with a makeshift weapon in your hand. Go through the robots by attacking them with one of two attack buttons (LMB or RMB). By performing the attacks in various order you can create simple combos, but it isn’t noticeable while you don’t have equipment or a combat style. Use Q key to defend yourself. Each action depletes stamina, both attack and defense. Because of that, you should early learn to perform dodge by using the direction key and jump. The stamina regenerates automatically, but when attacking stronger enemies (or a few opponents at once) you must take it into account so that you won’t be idle on the battlefield. Collect the yellow pyramids on your way. These are objects scattered across the world and dropped by enemies. They contain materials, items or blueprints – traditional, random loot. You don’t need to focus on gathering them all, you will rarely find something useful. Reach the destroyed ship in which you will find a terminal. During the short dialog you will obtain some information about the world and you will unlock access to the MedBay. This will serve as your base of operations: come here whenever you want to upgrade your character, save the scrap you gathered or heal yourself. If you die, you are taken here as well. Before the entrance to the building there is an implant – Medical Audit. Install it in the free slot of your character in the Implant tab in the MedBay. This will enable you to see health bars above the enemies. At first you won’t be able to take full advantage of MedBay’s features. You will be only able to manage implants. Your core is damaged and you must find something that will enable you to fix it. Leave the ship through the newly opened door and go downstairs. Then turn left. You will encounter your first enemy. Notice that his head is unprotected – use auto aiming and select the head by switching between limbs. Now your character will aim each attack at the head. Since it is an unprotected part, the damage will be maximized. Keep going and defeat two more enemies. Your target is the last opponent, who is trying to get through the closed gate. He has better weapon than the rest. Once you defeat him, he will drop an item. Take it to the MedBay to repair your exoskeleton. From now on you can perform upgrades, create items from blueprints and upgrade the core that represents character’s points. Detailed information can be found in the Advice chapter. After taking the “coupon” from the panel you will receive a mechanized leg and hand. Open the inventory and put them on. These are parts of your exoskeleton that improve your parameters. For now don’t try to gather materials for new pieces at all cost – you will find many of them when you defeat enemies. In order to continue, you must reach the factory. You have probably seen many closed doors in the current area – you will have to open them from inside, they will serve you as shortcuts. Currently the only path is leading through the door where you killed the enemy with the item to fix your core. There is a circuit next to the gate. Above it there is a number that represents the core level that you must have to use it. Here the default one is required – 10 pts. Walk towards it and press the action button. The door will open. Now you must get through the building by eliminating the opponents. You should keep returning here to gather scrap and more materials (and blueprints) to upgrade the basic equipment. At the back you will find door that must be also overcharged with the core (10 pts). You will walk outside. Open the door on the right and you will unlock the fastest shortcut to your base. Watch out for the poisonous gases around you – by standing in them you lose health. Outside the factory, in front of the wide door (the shortcut to the base), there is a small path among the bushes. 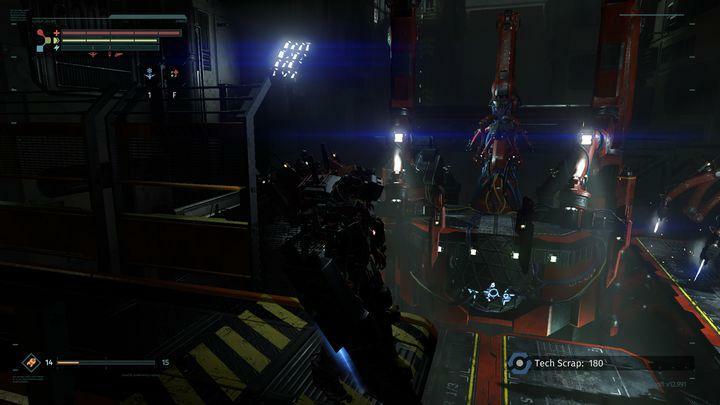 Walk through it and you will encounter a mini boss – a large mining robot that isn’t aggressive. Watch out as he can take you down with a single hit. He attacks with his arm, when you’re standing a few meters from him. He raises and drops down crushing you when you’re close. In order to defeat him you must attack the batteries on his sides. Don’t use combos but single attacks, so that you can jump away when needed. For winning you will receive Shining Coin [story item] and some scrap. When going outside from the base, use the shortcut to get behind the factory. Then go to the left and upstairs. The second stairs will lead you behind the building. There you can see door to the power station. You can get there through the factory as well, but this path is more comfortable (you don’t need to walk in the dark). Important – its dark inside. You should equip any upper armor that has a flashlight in its equipment. Sadly, the blueprints and materials must be obtained from random opponents, so you might not get this early in the game. Once in the building, go downstairs and then to the right through the door. There is a switch down there (10 pts) that will turn the power station and lights on. Now you can go behind the door to the stairs on the opposite wall or you can go back up, where you will face a boss. You should prepare for this battle, so first go to the MedBay. When you enter the field in front of the power plant – it doesn’t matter from which side – you will start your first serious boss fight. The arena is closed and you can’t leave it until you win / die. There is only one simple principle in this fight – try to remain behind the enemy. Attack his legs until the orange bar is filled. Try to avoid performing too complicated combos because the robot can stomp and deal serious damage to you. Once the bar is filled, the robot will probably jump back – you must quickly get behind him. In that case he will shoot homing missiles that will hit him. The boss will fall for a moment and his main component will be vulnerable – try to deal as much damage to it as possible. After about 3 such actions you will win the fight. You should visit the MedBay before the fight. Healing implants, light equipment and a fast weapon will be useful as well. Agility is the most important in this fight. 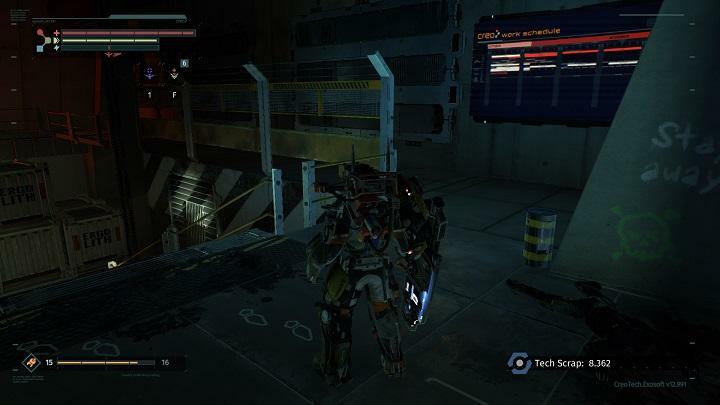 After activating the power plant you can find a rare weapon in the underground corridor – a big hammer called Titan. In the basement, near the stairs that leads to the lower floor (filled with poison gas, closer to the factory entrance) there is a small room. From inside you will hear a voice calling for help. It is closed until you activate the power station. Once the power is back up, you can open the door. Once you do it, you will be attacked by an enemy with the hammer. It is important to kill him by performing an execution on his right hand. The Titan is a two-handed weapon that deals great damage but is very slow. It isn’t practical when fighting strong enemies, but its great range makes it good to face groups of weaker enemies. 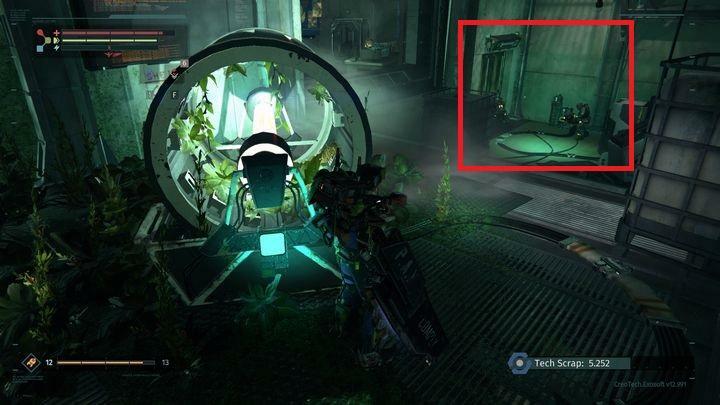 This piece of equipment can be found near the above described Titan. It is the best weapon available at this point of the game: it deals the greatest damage and is quite fast. You will find it in the basement, on the bottom floor, near the entrance to the factory, in the room filled with poison gas. After entering the gas turn left, then right – the weapon is inside a yellow pyramid to collect. It might be hard to get there – especially since there are three drones below as well. You should prepare for this trip with implants that improve healing, maximum health number and light armor that allows you to sprint. Optionally you might not worry about dying – you won’t lose equipment and you can leave the scrap in the Bay. Try to bring the weapon closer to the entrance with each attempt. 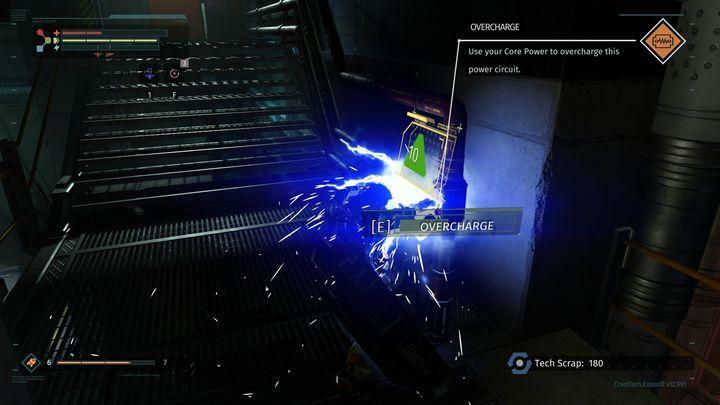 The following chapter provides a description of all the activities that you should perform during the second level of the game, and follow the storyline of The Surge. You will find information on enemies and NPCs that you will come across, shortcuts and how to reach the boss and exit the location. You will begin at a station. Stick to the left side to reach the other part of the location. 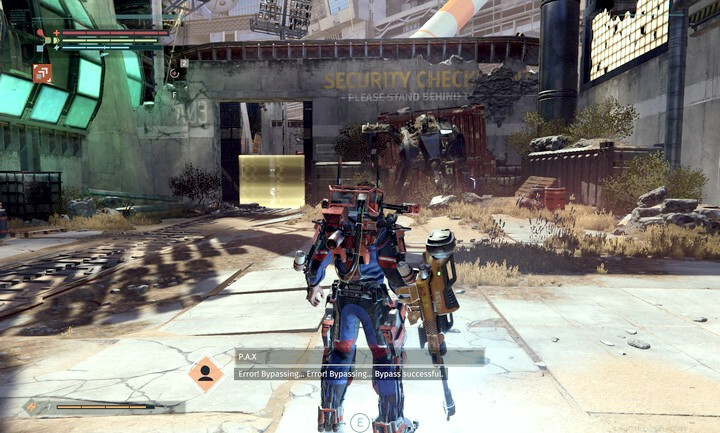 On the right side, you will find the console presented in the screenshot. Interact with it and a companion drone will appear. You can use it from now on. Approach it and interact with it to begin a conversation. Reach the elevator and use the drone to enter it. Move right and you will come across a damaged drone. You will have to destroy it with a range attack of your own companion drone. Move forward and you will see the MedBay soon enough. Restore your supplies if needed and exit the station. On your left, there is a door that you can open by interaction. Right behind them, on the left, there is a circuit that you will have to overcharge. This shouldn’t be much of a problem, as it only requires level 10 of Core Power. Just keep in mind that there is an enemy behind the pillar, on the right. Eliminate him and overcharge the circuit. The MedBay will become functional again. Get back to the station. Check your message and speak with Sally. Get back to the place where you caused the overcharge previously. Defeat the opponent you came across earlier, and move forward. You will reach the place visible in the picture. 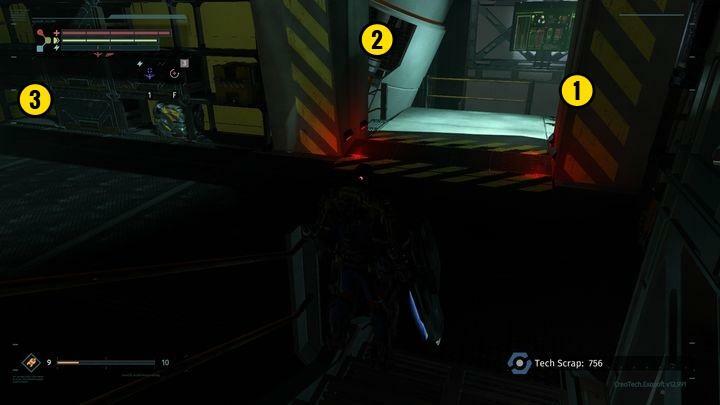 The Exo-Lift  on the left won’t work, and right behind a narrow passage in front of you , there are two Creo security guards, who would eliminate you immediately. Go right . There, you will face a single heavy-armored opponent. Defeat him and use the stairs to go down. Right now, you should focus on the enemy in front of you . Lure him with your drone. On your right and left, you can encounter faster enemies with less armor, and there is no point fighting all of them at the same time. Defeat your opponent and turn left . One of the mentioned opponents can actually attack you. Just block the incoming attacks, and strike back immediately. It’s the fastest way to eliminate your opponents and save your health. On your left, you will find an item, located behind the containers. 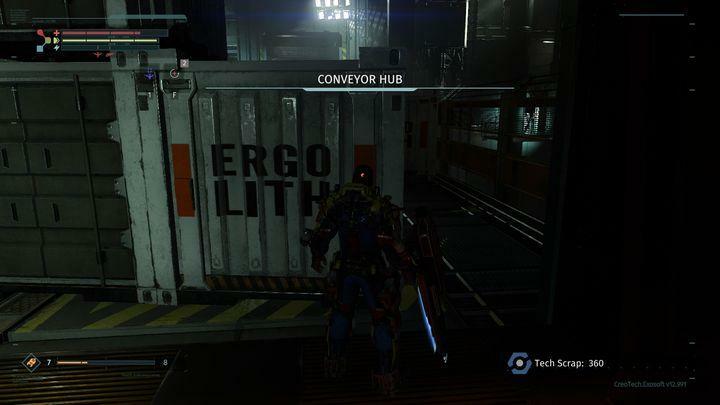 You won’t do anything with the very containers, as they require 75 level of Core Power. If you turn slightly left , you could use the Exo-Lift to reach one of the hardest areas, full of war machines. You won’t be able to defeat them at this stage of the game. Turn right. The other fast enemy will attack you. He may not spot you immediately, as he moves a lot around the area. Defeat him and you will end up in a place presented in the screenshot. Go left . Defeat an enemy behind the container, perform another overcharge (13 level of Core Power) and open the door. Speak with Davey until you run out of dialogue options. Use the right corridor  and eliminate the enemy presented in the picture. 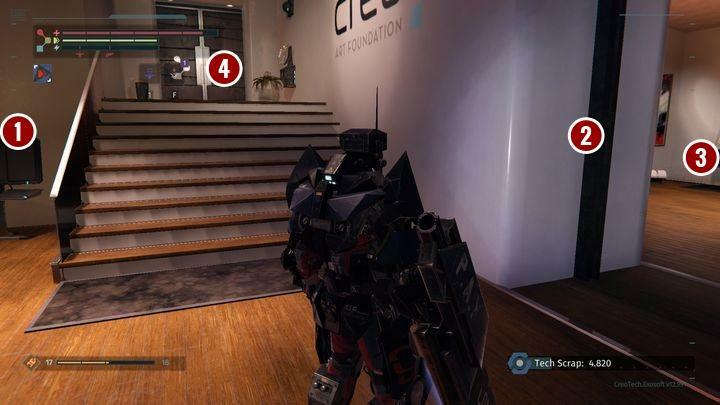 Get back to the broken Exo-Lift and the passage full of Creo Security Guards. Destroy the obstacle and jump on the lower platform. You will find Hobbes. Overcharge his Rig, speak with him and collect all the nearby items and messages. Get back to the MedBay to regenerate. Both saved employees will be there from now on. Head for location where you found Hobbes. Jump down, eliminate the enemy and turn right. A fast opponent, located behind the container, will attack you. Block some strikes to finish him off, collect the items and move forward. An enemy with a cannon will soon be in front of you. Hide behind the container, on the left, as close to him as possible. Tag him and taunt him to fire at you. After the third shoot, charge and defeat him. There is another enemy in front of you. On the other side of the stairs, on the right, a fast opponent will appear. Eliminate all hostile units on the upper floor and turn left. There, you will come across an incomplete fence that you can use to jump down. Move forward slowly. Eliminate the enemy with the cannon and focus your attention on the opponent, located under the platform you are currently standing on. Sometimes, he may run upstairs, which can be dangerous for you. Before you move forward, you should unlock the first shortcut to the MedBay. Walk across the pipes presented in the screenshot . When you reach the end, a fast enemy will appear. Defend yourself and take the door , he just used to enter the room. Use the Exo-Lift, and when you reach the top, interact with the first door and break the lattice with your weapon to unlock the passage. You are close to the MedBay. Before you actually get back there, you should go down, eliminate the noisy opponent and collect the nearby item. Get back to the exit point and turn right . Carefully search the half-pipe. There are some enemies but it should be possible to lure them out one by one. Furthermore, there is a module that will allow your companion drone to perform melee attacks. Take the stairs presented in the screenshot . There is a woman on the mezzanine and you should speak with her. You can offer her a two-handed weapon if you have one. After a longer conversation, walk away and the woman will move to a different position. 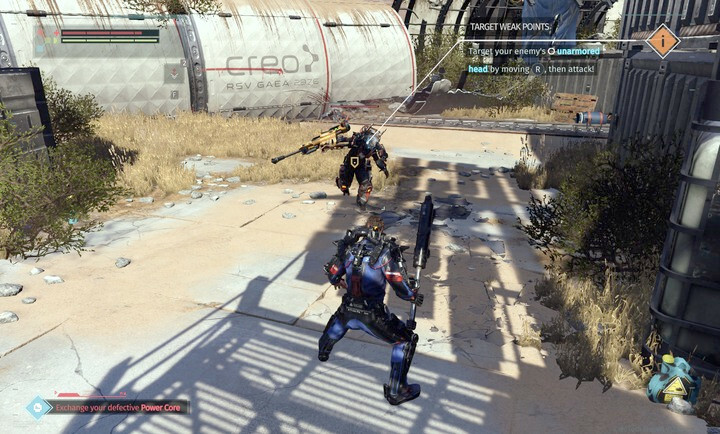 Keep in mind that the offered weapon should be good, and Staff of Creo Security seems like a perfect choice. She won’t accept a poor quality item and her storyline will not progress. If you take the stairs down, you will reach the train station. Two Creo Security Guards will be there, so stay focused. You need to reach the Recycling Zone. In order to get there, you will have to cross the bridge on the left. It’s full of enemies and some powerful robots. You can also enter the room in front of you. Just ignore the machine and run up the stairs. Use the Exo-Lift at the top, to reach the upper level. You can explore it freely but the most important thing is the lattice in one of the passages. Destroy it to get to the Recycling Zone through the back entrance. Take the stairs down, jump down and take out the enemies. Head to the place where machines are working. There is no point in going down, as all the bridges are closed and you won’t pass them. Instead, check the spot presented in the screenshot. There is an elevator that will take you to the upper level. Defeat the enemy and use one of the rails to reach the other part of the level. Turn right. There, you will find two passages. Unlock the one on the left  to unlock another shortcut. Now, after you respawn, all you need to do is defeat the first opponent and turn left. Move forward and you will get back to this place. Unlock the shortcut and proceed. Unlock the passage on your right . Eliminate two enemies that will block your way, and interact with a terminal by the window. This will activate the bridges and assign machines to additional tasks. Restore your medical supplies with the terminal on the right, and use the elevator. Exit the elevator, turn right and go straight. You will come across another opponent that will attack you from a distance. There is also a technical machine in the room, so be careful when attacking your enemy. Kill or avoid the machine, and go upstairs. There you will unlock another shortcut that will take you to your current position. Leave the stairs and move forward. On your right, there is an enemy behind the open door . On your left, there is a path  that you can use to continue you journey. By the entrance, on the left, there is a special weapon . Go down and you will reach the place presented in the screenshot. There are three enemies here. You can lure the first one to a specific position  when patrolling the area. The second one is waiting behind the presented container , and the last one is by the terminal . Defeat them, look around, and overcharge the console to open the door. Here, you will come across an area full of toxic waste. If you stand on piles of toxic waste, your hero will lose some health. Lure your enemies and reach the other part of the area. Take the stairs and defeat opponents that will block your way. This path will lead you directly to a shortcut to the MedBay. It will be extremely useful before you challenge the boss. Defeat the enemies, go down and turn left. On the left, there is an elevator, and a circuit that can be overcharged. The elevator will take you next to the circuit you overcharged at the beginning of this stage (in order to activate the MedBay). Unlock the shortcut, go down and turn left. Avoid or defeat your enemies, and head to the corridor on your left. Enter the large arena to begin the boss fight. Tips concerning the boss fight can be found in the specific chapter of the game guide. Defeat the boss and reach the Exo-Lift by the arena. Go left and use another crane. You will end up in a technical room. 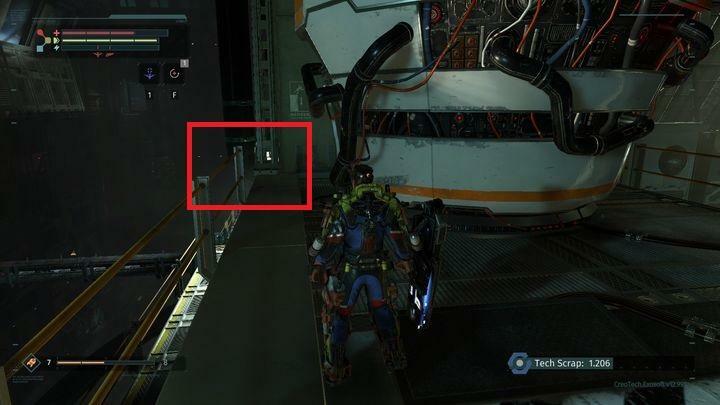 Collect the items and go to the Exo-Lift on the other side. Go down and proceed to the train station by going right . The large door  in front of you, is not available at the moment. Enter the station and head for the train. You will reach your next location. As soon as the stage starts, go to the Medical Station, located on the left side of the starting point. The information network does not work but all the other functions should be working properly. Exit the station, head left and move along the only available path. Go down the stairs and you will face two machines. The key to success is to destroy the limbs attacked their bodies. Once this is done, they won’t be much of a threat. However, they can still incapacitate you and slowly drain your life energy. Use their limited range of vision and attack them from behind. This way you will initiate the fight. This will improve your chance to survive. 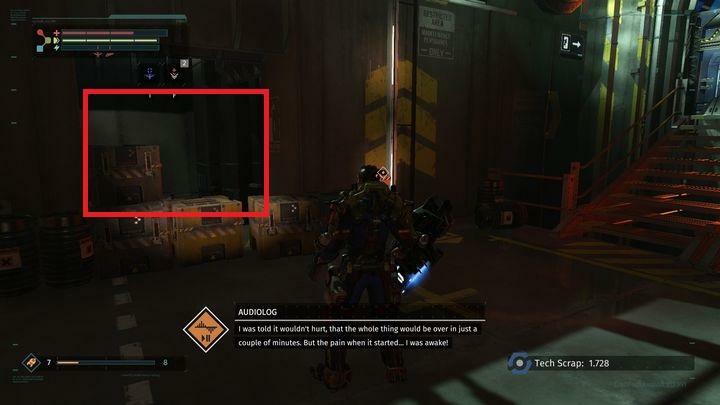 When you reach the spot presented in the screenshot , another machine, hiding behind the crates, will stand in your way. Duck, lock the camera on its arm and finish the robot off. There is a circuit, not far from the place where you were attacked . You can overcharge it. Do it, go back and go down the stairs. 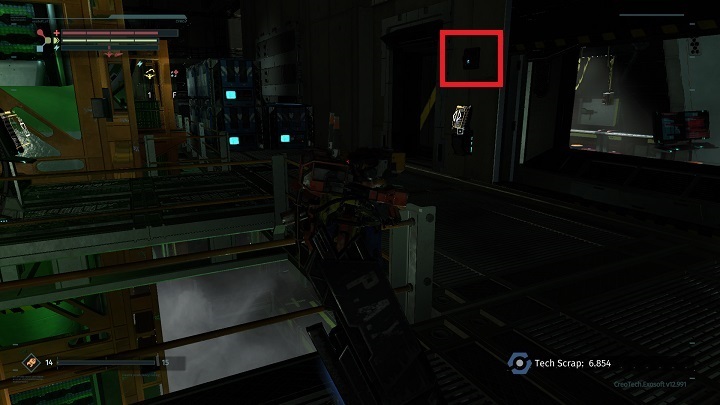 There is another implant behind the door. Get back to the location presented in the previous screenshot, pass the circuit and go up. Kill the enemies and search the floor. The elevator won’t work but there is a circuit right behind it. Overcharge the circuit to run the elevator again. The door at the bottom is closed, and at this point you won’t be able to open it. Don’t worry, you will get back here by the end of this stage. Use the elevator to reach the top floor. Eliminate a fast enemy and destroy drones located behind wooden crates. Restore your supplies and move on. At first humanoids will attack you but soon the only remaining opponents will be combat robots. Lure them out one by one, and try to make them follow you to the staircase – this will limit their movement. The machines can regroup quickly, so try to eliminate the first one before the rest will find you. 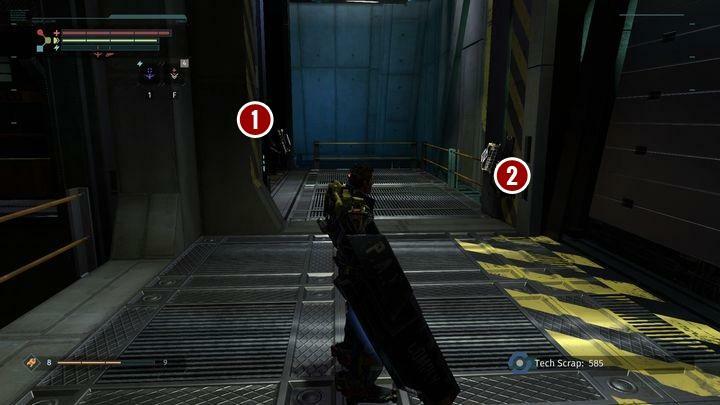 Starting from the position presented in the picture , go right and collect the weapon. Ignore the door , as it’s not available. There is a mini boss on the right. Go straight, avoid toxic waste and reach the door visible in the picture . There is a terminal next to it. Use it to proceed with your task. Deal with other terminals in the area and overcharge the presented cable. The door, which you will open this way, is in fact a shortcut to the Medical Station. Use the elevator located behind the door to go directly to the train station (where you started this stage of the game). Rest and go back to the top. Leave the container and head right. In the location presented in the screenshot, there is a hole in the ground. You need to get there. You can run away from your enemies, because as soon as you jump down, you will be safe. Move forward and collect the voice message, located under the stairs. Defeat enemies that will stand in your way and turn left to move forward. The door in front of you is for Security only. Defeat some more opponents on the lower level, collect all the items, and go even deeper. You will reach the spot presented in the screenshot. First, you will have to deal with the patrolling robot . If you go deeper into the room, you will be attacked by a drone , and a combat robot . The last of the machines will not react, until you approach it, so you can overcharge a circuit and activate the elevator first. The stairs in the back will take you to the security room. Use the elevator, defeat a quick opponent and turn right. There is a trap behind the door, so be careful and watch out for the left side (especially when your health is low). Defeat the enemies and use the only available path. The next chamber is filled with combat machines and you will have to face them. Listen to the audiolog and unlock the door. You will end up in the courtyard, you visited before. This time, you will run into enemies with flamethrowers. Defeat them and reach the door where you spoke with Chavez. You should be able to open them. Inside, there is a drone, a combat machine and a quick enemy. Defeat them and move on. You will end up in the presented location. Go up, deal with a single enemy and overcharge a circuit. Go down, and go back. On your right, there is a door that you can open. Inside, you will find a new implant. Keep in mind that on the other side of the courtyard there are stairs, you used to get here in the first place. If you go up, you will find some medical supplies. If you have problems with your opponents, you can always go there. This way, you will restore your supplies and the enemies will not respawn. If you go downstairs, you will realize that there is just one path that you can take. Destroy the crates to eliminate enemies that hide inside. In the end, you will notice that two enemies with flamethrowers are trying to access Melissa’s room. Kill them and the woman will open the door for you. Speak with her until you run out of dialogue options. Collect the Core from the table and go back from where you came from. In order to move forward, you will need to rely on your drone’s new ability (granted by the Core you have just collected). Open the door and you will find yourself next to the train station, you used in the previous location. Restore your health and head for the door that you were unable to overcharge due to low drone energy (near the first elevator). Open the door and you will find another item. Further storyline events will be related directly to the previous location, so you need to go back to Central Production B. reach the station and use the train. Soon, you will realize that things have changed. Go straight to the Medical Station and speak with Sally. She will provide you with new information. Once you run out of dialogue options, go to the ventilation tower, located near the passage to the train station. Once inside, keep moving up and defeat enemies that will block your way. 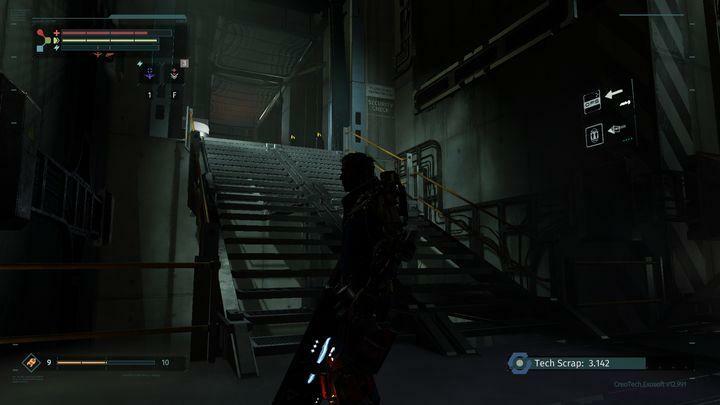 At the end of the staircase, on the right, there will be an enemy with a flamethrower. On the left, there is an implant. This floor is full of enemies, so you will have to move carefully. If you go left , you will end up in a narrow corridor with some enemies that you will have to lure out. You won’t go much further but you will find a new implant and audiolog. On the right  there will be 4-5 opponents and if you choose this path, you will reach another part of the location. Before you use the stairs, go to the spot marked in the screenshot. Go through the fog, and just round the corner, you will find a spot to restore your health. Use it if you are low on health. There are some items at the lower level. You will also come across a circuit that can be overcharged. There are only few enemies here. Overcharge the circuit, go downstairs and open the door. There are some boxes on the right. If you destroy them. You will be able to equip your drone with a new implant. On the other side of the door, you will come across some enemies, a new implant, and another audiolog. Go forward, until you come across an enemy by closed door. There is a ramp, behind it, and you cleared it out during the previous stage. Defeat the opponent, open the door, and unlock a shortcut to the Medical Station. Get back to the place, where you can restore your medical supplies and use the stairs to reach the top. 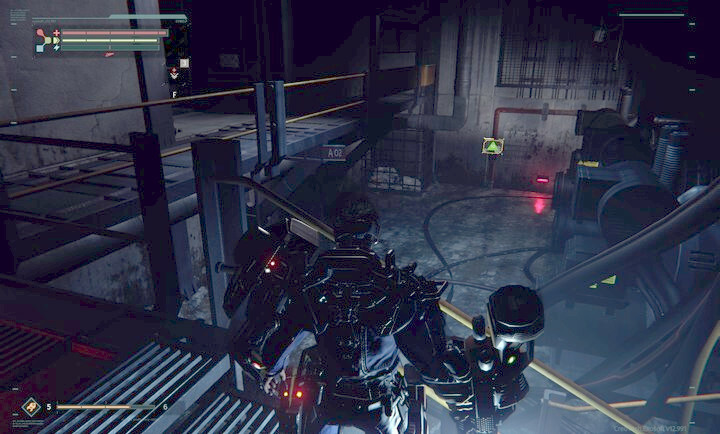 Eliminate some enemies, skip the floodlit entrance to the top and go to the spot presented in the screenshot. Pick the message and go back, because the door would take you to the security zone. Upstairs, you will meet Irina, whom you previously provided with a Staff. Speak with her and move forward. Eliminate the enemy patrolling the area, and turn right. On the other side of the door, there are three opponents and a new Rig. In order to pick it up, you will have to break the cabinet. Now you can collect the item. Exit the room and use the stairs to reach the top. 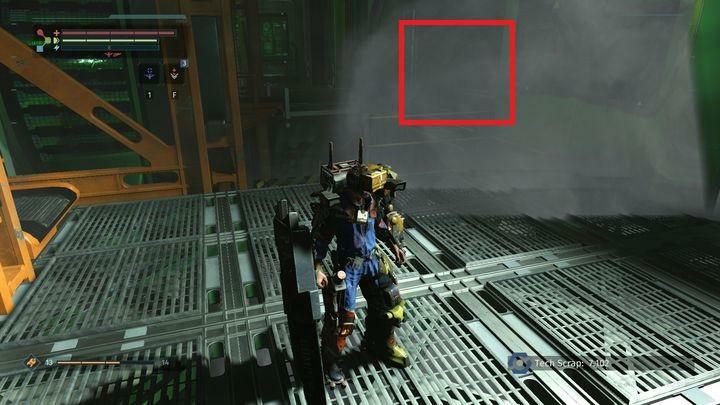 On the top floor, there is an Exo-Lift  and a bridge  to the other side of the abyss. Cross it, break the lattice, and enter the technical corridor. Break another lattice and go down in the Exo-Lift. You will end up right next to the Medical Station. Upgrade your Rig. Now you can activate up to 12 implants, however, in order to use its full potential, you will have to upgrade the Core to level 75. 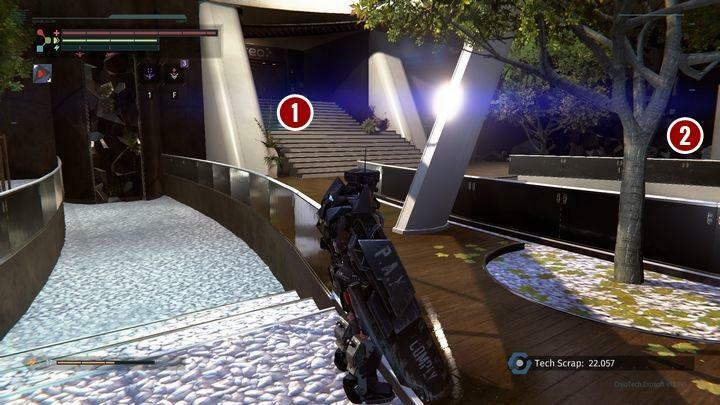 When you are ready, head to the Exo-Lift, which you skipped earlier, and reach the top. This will begin the boss fight. Once you defeat the boss, go left (from the dilapidated platform perspective). Go through the technical corridors, and after some time, the floor will collapse and you will end up in a new location. Begin the stage and use the stairs to reach the top. On your way you will come across a machine and a drone. If you don’t take out the machine fast enough, the drone will start to restore its health. Try to eliminate the drone first, especially that it is flying quite low. Before you reach the top, you can use the side corridor; however, the poison will prevent you from going forward. Once at the top, head towards the Medical Station . The only available path will take you through the door visible in the screenshot . On the other side of the door, there is a Security Guard and a drone. Defeat them and go deeper into the area. Kill another guard and after a short encounter with Creo, go left. You will reach a large room protected by three guards. First, eliminate opponents with gas weapons, and only then focus on the enemy with a flamethrower. Check your message and overcharge a circuit on the platform. This will grant you access to the door in the back of the room. Open it, defeat your enemy and collect the nearby items. Go upstairs. 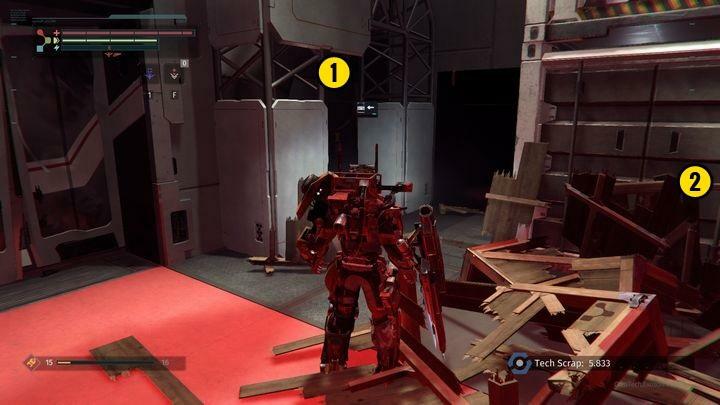 Defeat your opponent and destroy the cabinet to gain access to a new implant . Destroy the grate  and enter the technical room. 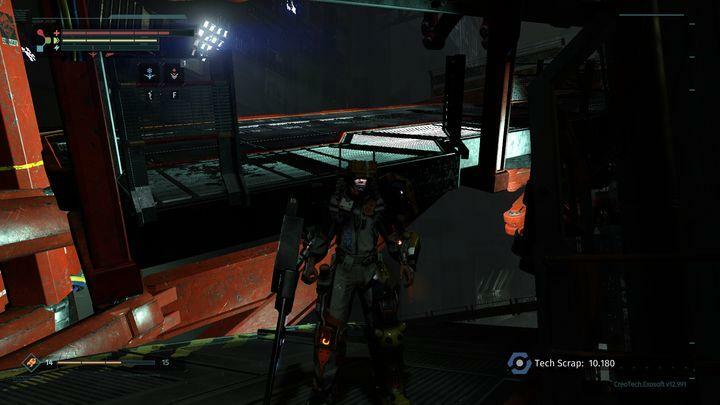 Use the Exo-Lift and explore the top floor. In the end, you will have to jump down to a spot presented in the screenshot. Deal with your enemies and open the door at the end of the corridor. There you will come across two opponents. Lure out the first one and pay attention to the right side – the other foe will perform a sneak attack when you pass the doorstep. Deeper in the room, on your left, there are more enemies. Enter the room and face two more opponents. You can turn right at the end of the corridor  or break the grate in front of you . There is another foe on the other side. Defeat him and use the technical corridor. If you turn right immediately, you will find an elevator that will take you down. This way, you will unlock the shortcut to the Medical Station. If you move right, you can overcharge a cable, and thus open door on your left . There is another technical corridor on the other side. If you use it, you will end up in the location presented in the screenshot. There is an audiolog protected by two walking Rigs. Defeat them and move on the only available path. You will reach the place where you spotted the Creo worker the last time. Head to the Medical Station. 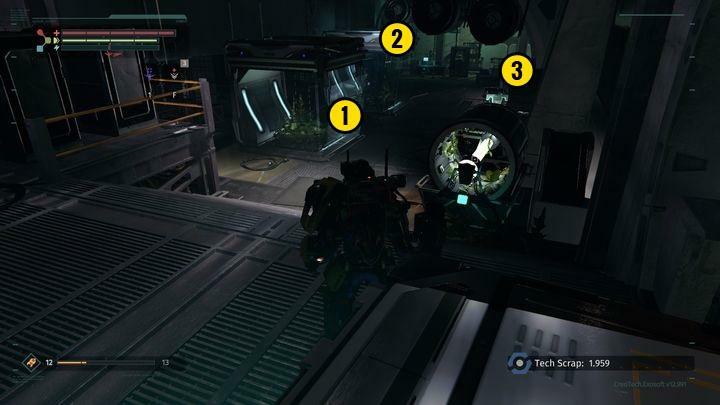 Rest and get back to the Exo-Lift, used as a shortcut to the upper floor. 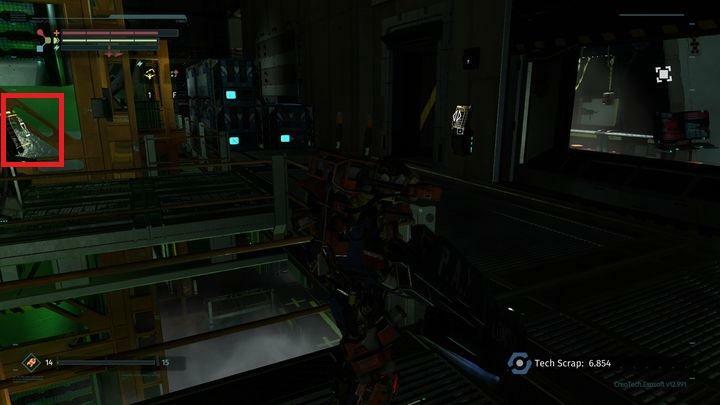 Defeat an enemy in the technical room and use another elevator, located in the corridor. You will notice the Creo worker once more. Walk around the device, and use the technical corridor on the left. Next to the entrance, you will come across an opponent that you should eliminate as soon as possible. Downstairs, there is a human enemy and two machines with containers. They won’t appear, unless you open the door (need to interact with the only available spot in the area). Jump out of the technical room and move left . Defeat some enemies and you will get to another door that will take you directly to the main hall (and unlock another shortcut). Get back to the place where you turned towards the Medical Station. At the end of the corridor, upstairs, you will find a wire that can be overcharged with your drone. Do it and open the door . Deal with some enemies (including a drone) and get to the other part of the room. Go upstairs and defeat your opponents. Go down and locate a door by the platform. You should be able to activate them. There are some more enemies on the other side. Stick to the right side, and you will find a technical tunnel presented in the screenshot. Inside, there is a machine with a container. Defeat it and go to the Exo-Lift. Destroy the grate and jump down. You will face a walking Rig. Remember that you need to kill it twice. Defeat it, exit through the window  and use the elevator  to reach the top level. You will face some more walking Rigs. Turn left, defeat a machine with a container and destroy the grate. Before you use it to exit the room, walk around the technical room. If you go right, you will find one of the best implants on this level. Collect it, get back to the grate and exit the room. You will reach the area presented in the screenshot. Head towards the marked door. There is an elevator that will take you down. Furthermore, you will find a voice message, some enemies and a shortcut to the labs. Access the restricted zone, avoid or defeat the first opponent and move forward. 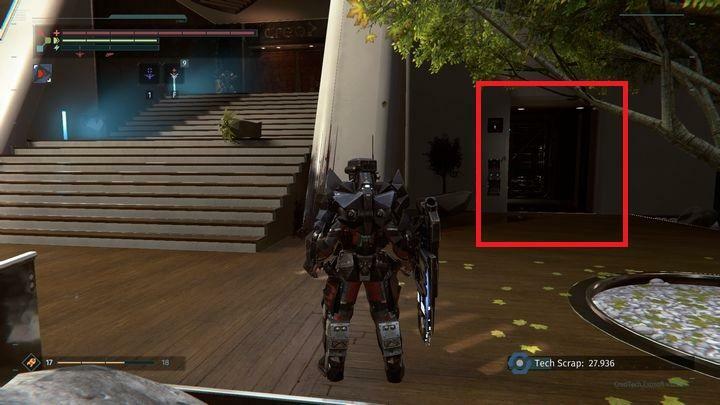 On the left, there is a door that will take you to the show room, and is a certain shortcut. Regain you strength and get back to the corridor, turn left, defeat your opponents and break boxes at the end. You will find an item. Open the door at the end of the corridor and use it. You will get to a place presented in the screenshot. On the batten , there is an enemy that will block the way to lab 12. Inside, there is another one, and some passages that we will discuss later. On the lower level , there are two labs: 01 and 02. In total, there are five enemies in front of them. The door to lab 01 is locked but inside lab 02, there is a technical corridor on the right. Use it to access lab 01. In lab 01, enemies won’t attack you, until you break one of the cabinets. Thus, you can ignore them. Overcharge the circuit  on your left, open the door  and head towards the door on the right. It should be unlocked. Open it to face the mini boss. Watch out for a strike that is preceded by a slide. If you are not careful enough, a single blow can kill you. Remember that you can execute him. Once the fight is over, use the door your enemy walked through, and move left. Go up and speak with Dr. Barrett. Finish the conversation, get back to the main hall and you will realize that the exit door is unlocked. Inside, there are some Rigs and Security Guards. Defeat them and head towards the open door. 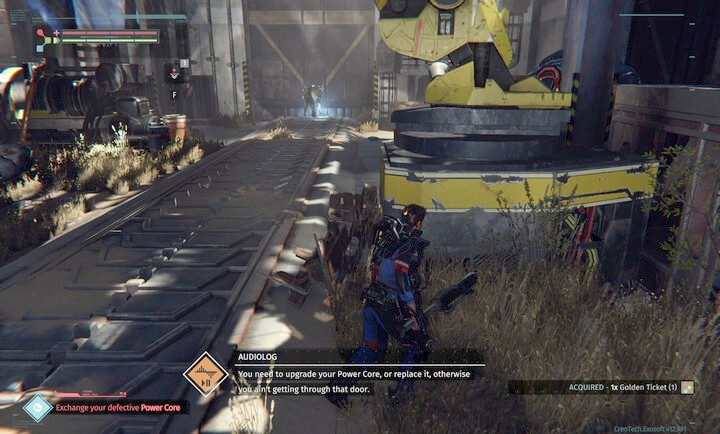 The following chapter provides a description of all the activities that you should perform during the second level of the game, and follow the storyline of The Surge. You will find information on enemies and NPCs that you will come across, shortcuts and how to reach the exit. You are back in Central Production B. if you searched the area carefully, during your first visit, you will recognize this place. In front of you, there is a single enemy and a circuit that requires level 70 of Core Power. Defeat the enemy and ignore the circuit if your level is not high enough. 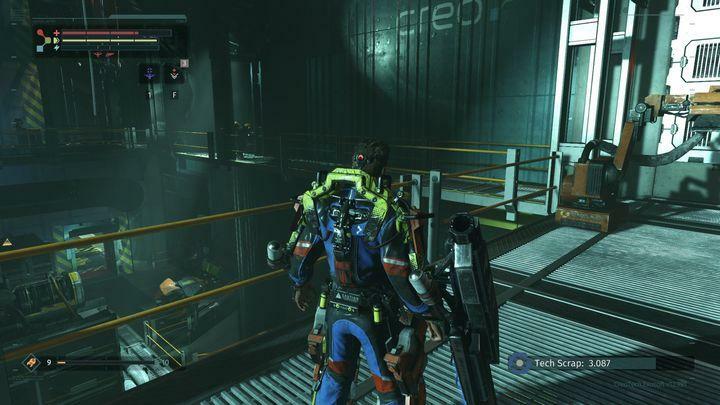 The remaining enemies in the area are Creo Security Guards, and this time you won’t have to taunt them. 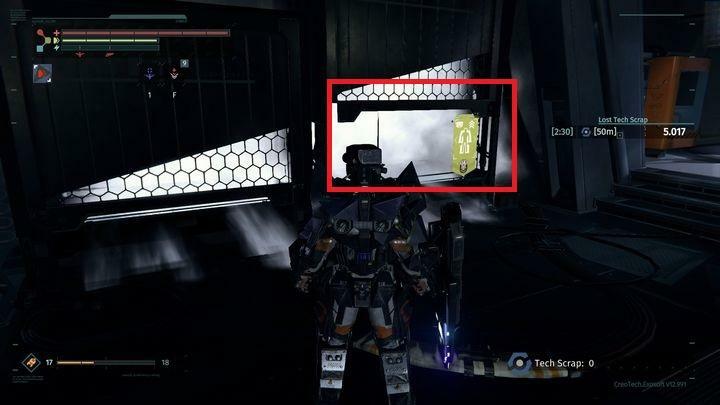 As soon as you pass the container presented in the screenshot, you will run into two guards and a drone. Defeat them and use the stairs. Head left, towards the bridge that can be used to reach a technical corridor (another shortcut to the Medical Station). Downstairs, on the left, there is a machine. You can remove its tail (upper part of the robot), and if you succeed, you will obtain a special implant (Ancillary Core XL). Between you and the technical corridor, there are three guards. The first one will fire at you, and you can ignore him if you are fast enough. Unfortunately, you will have to face the guard right by the bridge. Defeat him and cross the bridge. Another opponent is hiding behind the grate. 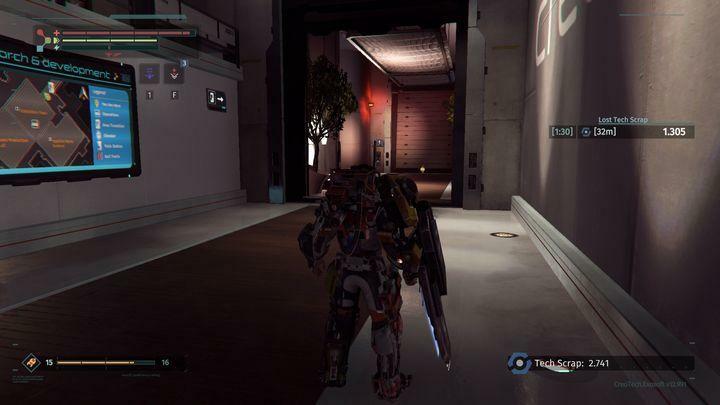 You can fight him or run towards the corridor and take the Exo-Lift. 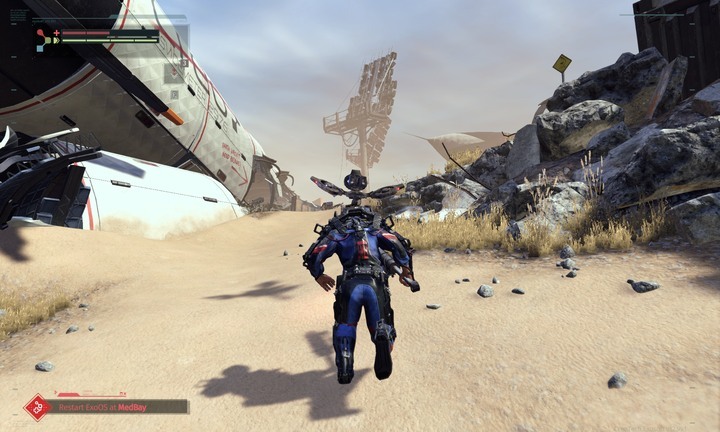 Use the shortcut and quickly get to the Medical Station. Talk to Sally, who will instruct you further. Exit the station and go left towards the Supply Warehouse. You may find Irina Beckett on your left if you followed her storyline. 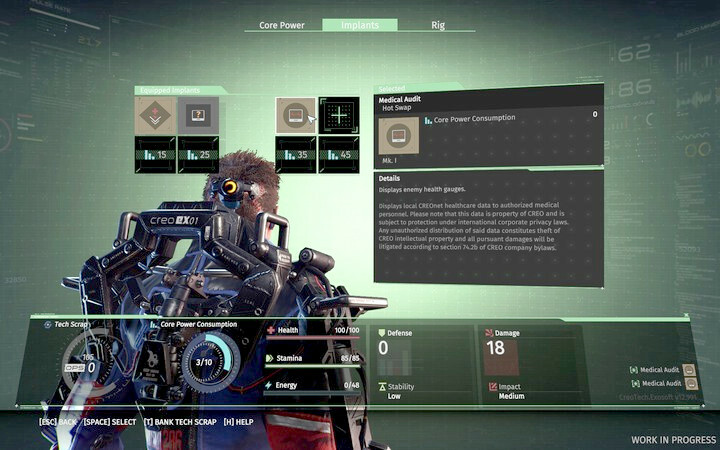 Tips on NCPs and their missions can be found in a separate chapter of the game guide. Move forward towards the security door. There is a single guard and a drone. Defeat them and use the door. Go to the elevator that will take you to the executive levels. Prepare yourself for a new stage. 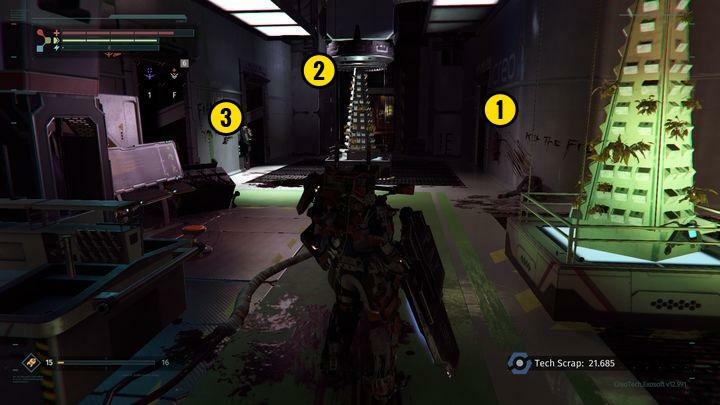 The following chapter provides a description of all the activities that you should perform during the this level of the game and follow the storyline of The Surge. You will find information on enemies and NPCs that you will come across, shortcuts and how to reach the boss and the exit. Leave the elevator and go straight ahead to reach the Medbay. Speak with Sally and head right after leaving the safe zone. Once behind the door, you will be in the area shown in the above screenshot and you will need to defeat a single enemy patrolling the area. Once you’re done, head right . 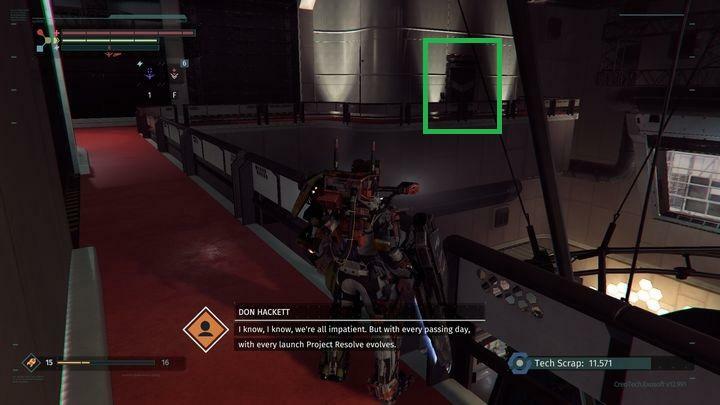 You can find a drone module (Anti-Kinetic Shield) below the footbridge. There are also bars there that can be destroyed. Go straight through the hallway, defeat a machine and turn right. There will be a recording (Dangerous Game) there. You can use an exo-lift there, but it will only take you to the floor above you that can be accessed by going left . Once there, you will encounter a pair of enemies. The tunnel on the right side can be ignored, as it leads to the hallway you’ve already explored, so just head forward. Once on the lower floor of the hallway, defeat the machine patrolling the area and head to the other side of the main corridor. Collect scrap located on the left side. Destroy the nearby bars and you will get to the lower level of the location. You will witness an enemy security officer debriefing his subordinates. 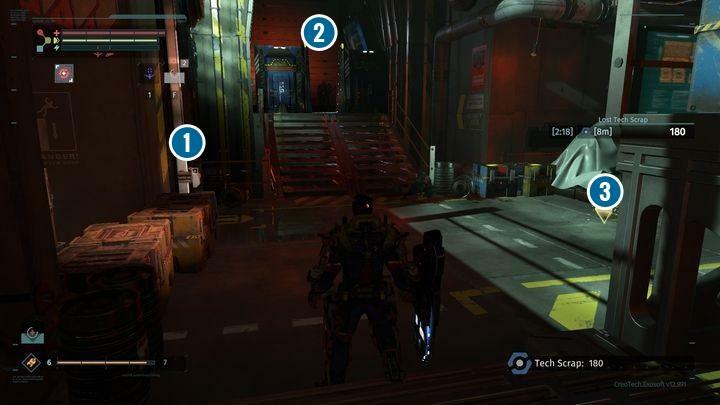 Once they leave the area, use the nearby exo-lift to get to the lower floor. This will initiate a boss encounter. After you have defeated Black Cerberus enter his hideout. At the same level, you will find a maintenance corridor. Enter there, overcharge the circuit and follow to the end of the corridor. Take a ride up on the lift and open the door. Welcome to the Med Station. Climb down there and use the scrap that you have obtained. 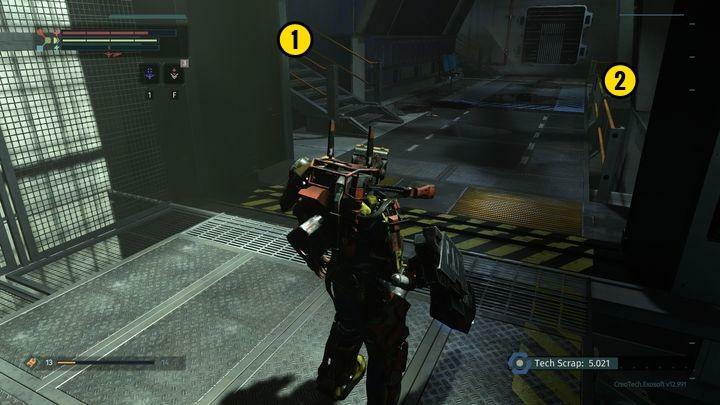 Collect CREO Exo-Rig and equip it before you continue. Take the shortcut to return to Cerberus’s hideout. Climb up, read the message (82-3856945) and take the lift to get to the security door. Right past the door, you will find another audiolog (Missing Office Supplies). As soon as you approach the lift ahead, an enemy will come out of it. Defeat the opponent and take the lift. At the upper level, there is another audiolog (Deeper into the Burrow) and an opponent in the maintenance corridor on the right. Follow the tunnel and go right. At the end of the corridor, in a box, you will find a Vital Injection v5 implant. On the left, there is a guard and a drone. Defeat them and open the door of the Management Sector. You will see the view presented in the above screenshot. The robot  at the top will jump over the blockade, so you cannot ignore it. Deal with it as quickly as possible. Since there is a blockade, you cannot go straight ahead. Collect the scrap at the tree  and go left . In a moment, you will be attacked by a guard. Defeat him and climb down the stairs before the gates to obtain another audiolog (Operation Ferguson). Past the gates, on the left, there is a guard hidden. Kill him and move on. Behind the crates on the left  there is a single guard. Right next to the stairs, there is a drone , which you will deal with quickly. Apart from that, in the area, there are two patrolling guards. Once you defeat the one next to the door  you will gain access to the security maintenance corridor. 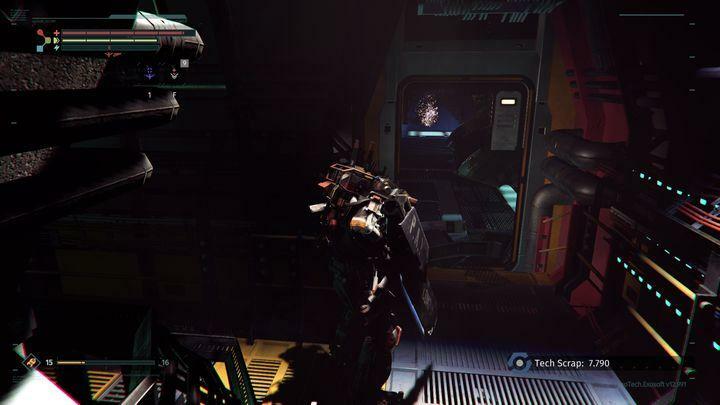 After you enter the corridor, go right and you will find a Plasmic Fregenerator v5 implant and an exo lift. Take it and go straight ahead, along maintenance tunnels. 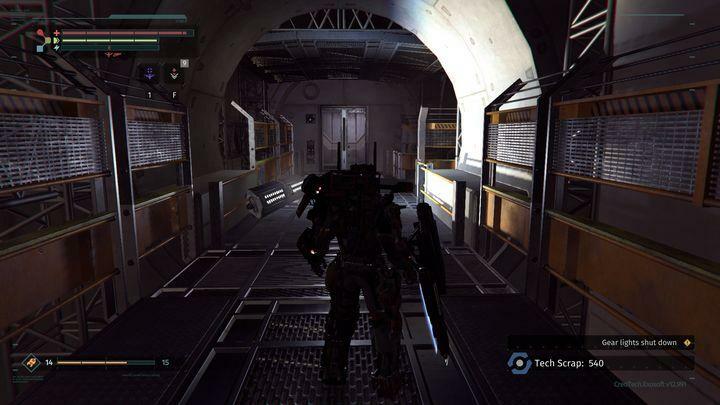 Defeat a single scorpion robot and leave the corridor. Up ahead, there is Reclamation Buddy v.4 implant, and an exo lift on the left, which is a shortcut to the Medical Station. Divert into the left part of the maintenance corridor. There are two opponents there. It will be very difficult to defeat them both in a narrow area. Try to lure out one of them, and defeat the other one behind the corner. On the left, there is an (Betrayed), and a door up ahead. Read the message (Decision still pending?) and replenish your supply of meds . Then, open the door below  and follow up to the very end to open a shortcut to one of the parts of the Management Sector, which you have previously been to. Then, return to the location shown in the above screenshot, open the door  and move on. ON the left, there is a stronger opponent and a drone. Defeat them and go right. There is a guard there, on whom you will find Medi-violtaic Injection v5 implant. Then, climb up the stairs. Right past the stairs, on the left, behind the rail, there is an audiolog (Alone). Go right, defeat both opponents and collect Mechanized Counterweight v4 implant. Open the office door and listen to the audiolog (Legacy). Go towards the stairs. Ignore the guarded door for now  and go right . Lure out the two patrolling guards and go right. 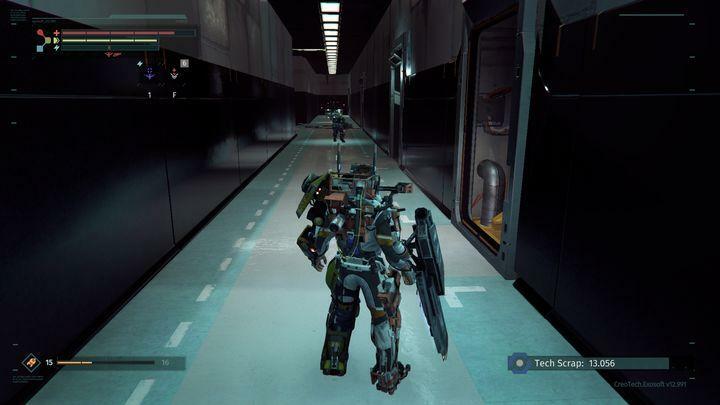 In the corridor shown in the above screenshot, there are two drones and a guard. On the left, there is a scorpion robot. Defeat the opponents and follow to the end of the corridor. Through the door on the left, there are maintenance rooms. There are two opponents there. Once you have defeated them, take the lift to the room where there is another scorpion. Once you defeat it, approach the spot it used to guard. Use the drone to circumvent the circuit and open the door, which makes the last shortcut here. Return to the corridor from which you left to find shortcut. In the room on the right, there is Don Hackett and you will obtain the first achievement connected with him. In the same room, there is an audiolog (Singularity). At the platform above, there is a button that opens the room next to the green screen. Inside, you will find Pneumatic Calibrator v4 implant. Use the passage shown in the above screenshot to enter the server room. Inside, you will find an audiolog (Part of the Scorpion robot). Seize the opportunity to overcharge the circuit and collect parts for upgrading your gear. Go back up, but watch out at the tunnel exit, because you will be immediately attacked by one of the guards standing at the door. Seize the opportunity to overcharge the circuit and pick up parts for upgrade. Go back up and watch out. After you leave the tunnel, you will be attacked by one of the guards at the door. Defeat both him and the other one and open the CREO Management Board office door. Go to the location shown in the above screenshot. Defeat all opponents. After you gave defeated the last one, the blockade will be lifted. What is even more, after you have defeated the Black Cerberus, you will receive SNS Disinhibitor implant. Enter the lift to end this stage and get to Nucleus. 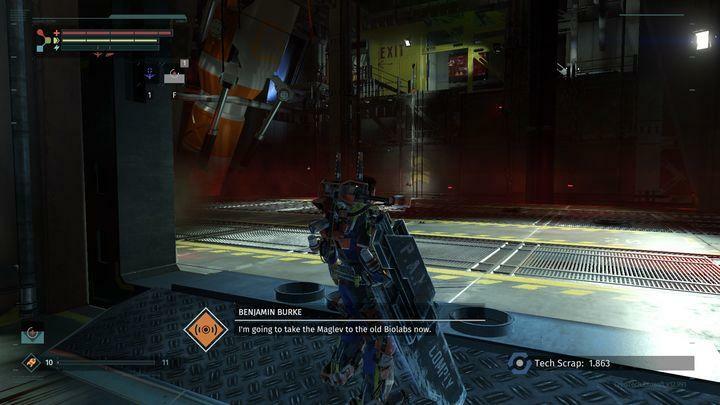 The following chapter describes a showdown with one of the bosses in The Surge. This time, you will be facing P.A.X that will prevent you from escaping from Abandoned Production, which is the first location in the game. Try to collect some important combat parts for your Rig. Although it is not obligatory, additional defense can save your life if you are not careful enough. One should reach level 15 of the core. This will allow you to use additional implants during the battle. Select implants that will allow you to regenerate your health or deal slightly more damage. A modification that restores your health in a specific moment is a good choice, as the boss does not attack too often. Adjust your weapon to your gameplay. There will be a lot of opportunities to deliver single blows, thus we recommend to select weapons that deal greater damage, and throw 1-2 hits before moving into defense. It’s not just about the speed but also being accurate. The boss will signal all his attacks, so if you are careful enough and change your position, you should be able to win. There is just one stage of the fight. Hit the robot’s legs to charge the orange bar. When this happens, P.A.X will move away from us to prepare his missile attack. You should follow P.A.X immediately and not allow the robot to get too far. By the time he launches his missiles, you should be next to him. This way, you will avoid taking damage (most of the time the explosion will toss you away) and P.A.X will hurt itself. When that happens, the machine will switch into emergency mode for about 7 seconds. This is the moment when you should damage its torso as much as possible. The first blows will remove the armor, thus the damage will be reduced. However, further attacks should significantly affect P.A.X health. Missile strike – this attack will take place after P.A.X charges the orange bar. Three waves of missiles that will be launched in different directions, which makes it harder to avoid them. This causes significant damage, so avoid this attack at any cost. Implant – Vital Boost v.3. Defeat P.A.X and you will be able to use the train and move to another location – Central Production B. 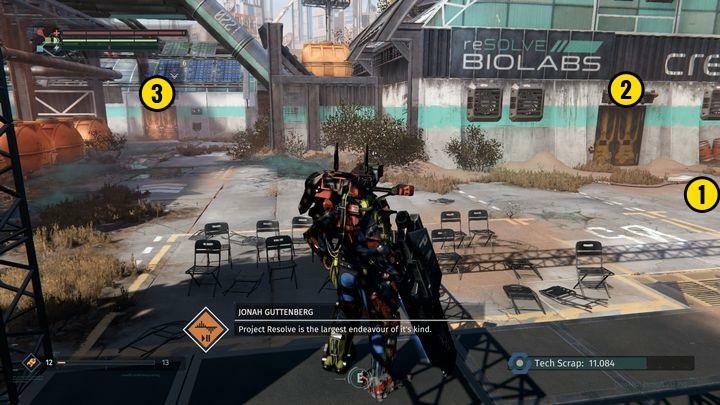 The following chapter describes a showdown with one of the bosses in The Surge. This time, you will be facing Firebug that will prevent you from escaping from Central Production B. Just like in the case of your previous fight, you will need to learn certain moves and react as soon as possible. Energy management will be crucial for this fight (especially during stage 2), so if you have any implants that would boost its regeneration, it’s the perfect moment to use them. Although it is not obligatory, it’s going to make it easier to hit your opponent. Especially when the robot will make you duck all the time. This time it’s quantity over quality, so you may want to select a weapon that deals less damage but will allow you to perform more strikes. It’s wise to select a strong staff, and thus increase your attack range. 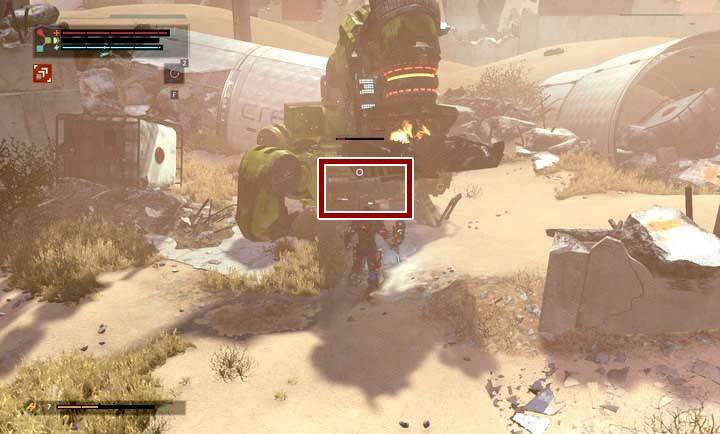 Limb attack – when near you, the robot will pull out one of its limbs to hit you. Pirouette – when in close combat, the machine will move up a little bit and perform a fast spin to hit you with its limbs. Lock the camera on one of the limbs. During the fight, the camera may confuse the player, as often your hero will try to hit the limb you locked the camera on, instead of the closest target. As the robot will move, you will have to keep switching the target and lock your camera on the closest limbs. Try to hit the same limb. After a couple accurate blows, the robot will duck for a moment – this will give you enough time to strike with a more powerful attack. If you are lucky enough, you will be able to rip off one of the limbs. The robot will launch into the air and try to smash you with its heavy body. This move will take place each time it loses one of its limbs but it may also appear during the fight. Squash – if you place yourself under the machine, it will lock its limbs and lower its torso to squash you. This means instant death or at least taking the majority of your health. 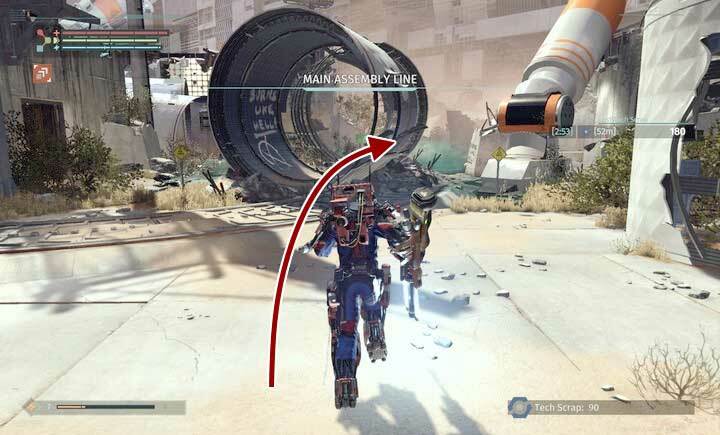 A single shoot – after charging its attack for a moment, the robot will fire a single missile in your direction. It’s easy to predict and avoid the attack but keep in mind that the robot will not always fire at you, so be careful when dodging. The second stage of the fight will begin when the robot loses three out of six limbs. Arm attack – if you get close enough, the machine will move one of its arms and spin in a horizontal way. If you don’t move away and take all of the hits, you will lose at least half of your health bar. Charge – an easy to predict but also the most dangerous attack. The robot will lift its turret beyond its torso, turn and rapidly strike you. If you block this attack, you will probably survive but you will be in big trouble. No block means instant death, regardless of your current health. 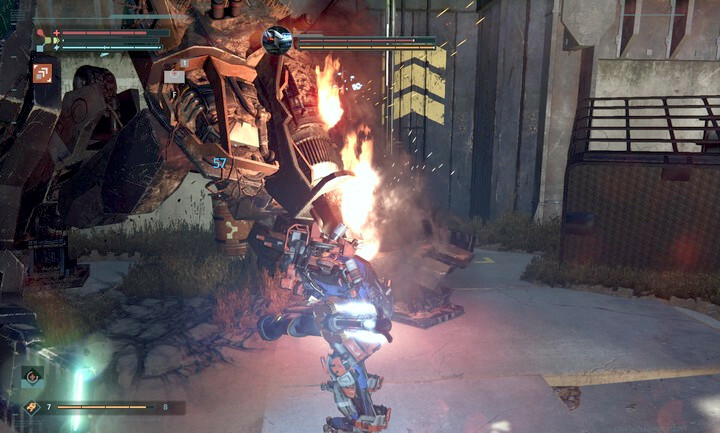 Incineration – if you perform too many frontal attacks (torso), the robot will turn its nozzles and incinerate the area in front of itself. It’s easy to avoid this attack, and it will give you enough time to regenerate and move to a better position. Squash – if you remain too long under the torso, the robot will lower it immediately and squash you. The attack is not as powerful as during the first stage but it’s better to avoid it. Spinning wheel – the robot will spin for a long time and try to get close to you. Do whatever you can to avoid this attack, as it is long enough to kill you. Just duck in the same direction and you should survive. Your task is to move around the central part of the arena, in a way that will always allow you to perform a duck or two. Taunt the robot to perform spinning wheels. After each move you will have more time to perform your own strikes. At this point, it’s better to use more powerful weapons. You won’t have much time to perform combos, so all you can do is strike with single but more powerful blows. The second stage of the fight is longer, as it’s much harder to make the robot repeat the same moves. Furthermore, it likes to use the charge, so you need to be very careful. Try to hit the torso, especially the turret. Defeat the boss and you will be able to move to another location – Resolve Biolabs. 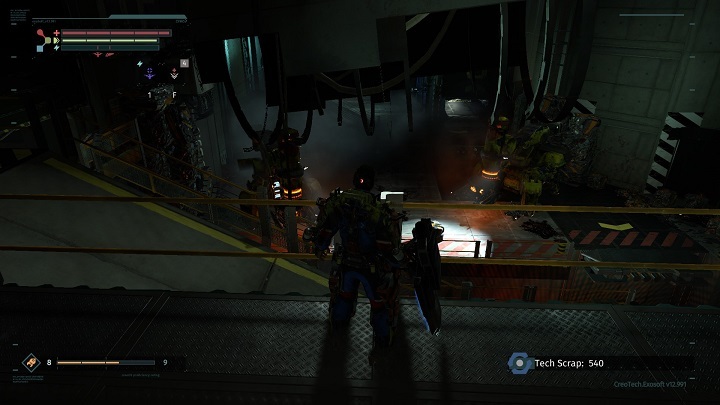 The following chapter describes a showdown with one of the bosses in The Surge. 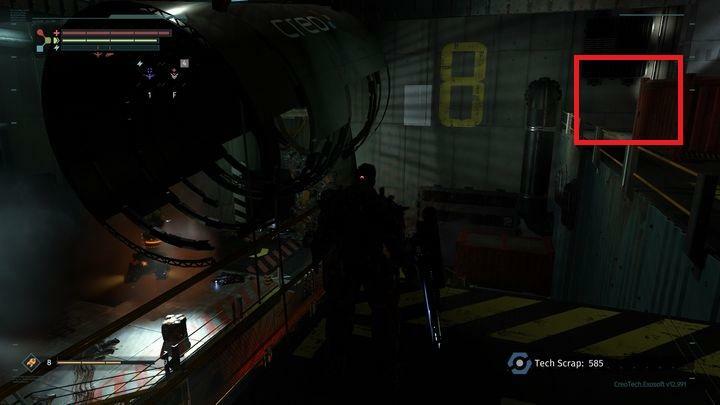 This time, you will be facing Big Sister 1/3 that you need to defeat to reach another part of the Creo facility. The first part of the battle should be rather easy. Your task is to destroy both arms that will attack you. The key to success is to observe both arms and remember that the machine will not always attack in turns. After a series of strikes, the arm will pull back and the other will try to hit you. In the meantime, the main element of the machine will perform a vertical laser attack every 10 seconds. The robot will try to catch you with the beam all the time, so you should finish the first stage of the fight as soon as possible. Push – an arm from a horizontal position will charge your way. Duck in any direction and place yourself close to the middle of the platform to have enough space to dodge incoming attacks. Displacement – an arm in a vertical position will perform three moves from left to right in order to hit you. If you stand by the back fence, the arm will not reach you. However, it’s not likely that you will be able to deal damage as well. Squash – up to three blows to the platform with an arm in a horizontal position. If the machine lifts its arm, it will strike you from above. You need to duck as all the strikes will land in the spot you occupy. Attacking the same arm repeatedly will let you destroy it. Once this happens the machine will attack you with the only remaining arm. Reduce the durability bar of both arms to zero, and stage two of the fight will begin. During the second stage of the fight, you will have to destroy four arms that will constantly drain your health points. Keep in mind that a destroyed arm will be replaced with another one, and once you enter the platform, you won’t be able to leave it. Stick to its corners and avoid the center. This way, you should be able to destroy the arms one by one, and you will reduce the possibility of being attacked by other arms. You will have to avoid the vertical laser attack through the entire stage, and overload on the floor that will slowly but constantly drain your health points. You need to destroy at least 3 arms to begin the next stage. However, it’s best to destroy all of them – this way, you will have more space to dodge hostile strikes in the next stage. The last phase of the fight is all about the main structure of the robot. Laser attacks won’t happen so often but the beam will strike every time you try to move out of direct range of the attacks. Your biggest opponent will be the very camera, so keep in mind that after locking the camera once, you shouldn’t switch it off till the end of the fight. Otherwise, the camera will move behind your hero, making you defenseless. At first you can focus on the lower part of the machine but as soon as you notice broken cables, tis part of its body will become immune to further attacks. The robot will take its time to perform attacks, so that gives you enough time to strike and move to a safe distance. Dodging the incoming blows is mandatory, as even a single strike can kill you if you get hit directly. On both sides of the platform, there are spots without any fence, and if you get hit, you may be pushed off the arena – this will kill you instantly. 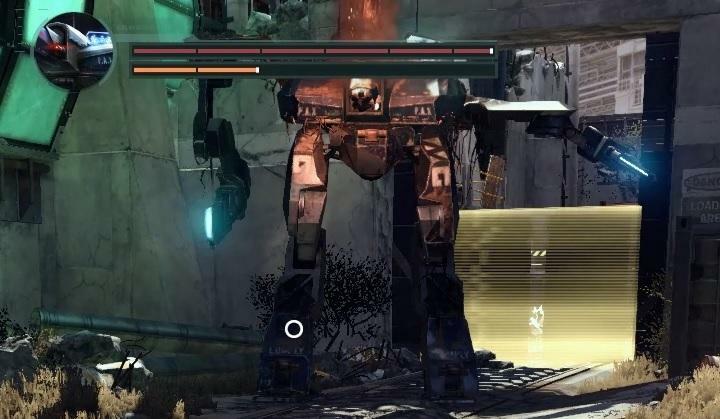 As soon as you defeat the boss, get as close to the robot as possible. This way, you won’t fall off the platform that will spread apart after the fight. 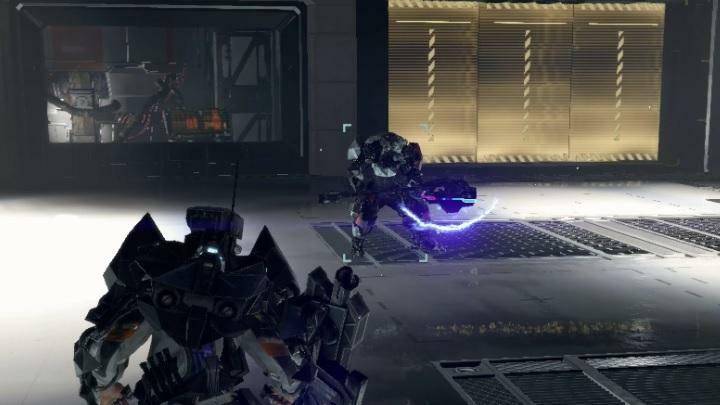 The below chapter discusses the battle with one of the bosses in The Surge Black Cerberus. If you want to get to the specific rooms of CREO Management Sector, you will have to defeat the boss first. Note: There is an alternative way (shown below) of dealing with Black Cerberus that will award you with a full Black Cerberus gear. Black Cerberus is a human opponent who has stronger attacks, is more resistant to damage and has much more health points than regular opponents. You can perform an execution on him, if you have beaten him up enough. He is fast and his attacks deal a lot of damage. After he has sustained enough damage, Black Cerberus performs an AoD paralyzing attack and escapes into safety. At this point, the P.A.X. will be your opponent. 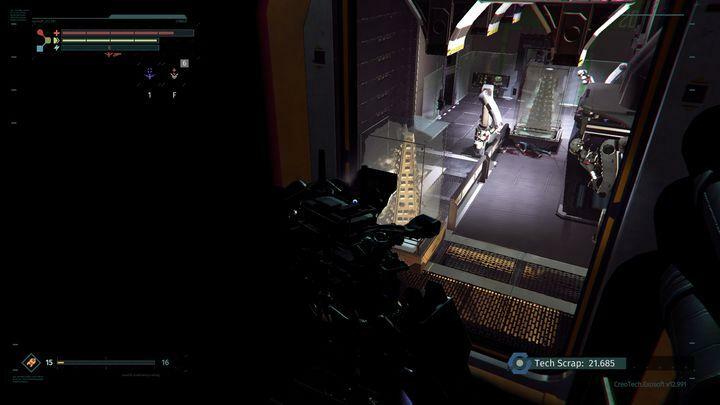 While you will be fighting with the scorpion robot, Black Cerberus will be replenishing his health points. The longer you will be fighting the robot, the more health your main opponent will regenerate. It should be noted that in this case, P.A.X makes a much stronger opponent than the first boss in the game. The fight will be over after you have killed Black Cerberus. If you aren’t fast and effective enough, you may have to fight P.A.X robots for five times, before you finally defeat the CREO security chief. Below, you can view tips concerning battles with opponents. Depending on your skills, your character level and your gear, the fight may be long or short. The key here are large amounts of health shots and of ones that allow you to regain health using power. Apart from that, it is necessary that you accessorize with implants that will allow you to deal more damage. This is the key. Missiles– at a longer distance, Cerberus launches two missiles in your direction. They aren’t accurate, so two dodges are enough. Still, they are so small that you may miss them, if you do not watch the battlefield carefully. Wave– Cerberus sends out a wave of energy in your direction, which paralyzes you for 2 seconds and deals damage. The attack is especially dangerous if you are staying close to the opponent. If you are staying further away, you can take a hit from missiles, while paralyzed. Paralysis – after he has taken enough damage, the boss starts to charge his special attack. Try to remain as close as possible to him, then, and land as many attacks as you can. The attack is not dangerous and Cerberus will not attack you while you are paralyzed, even if you are right next to him. 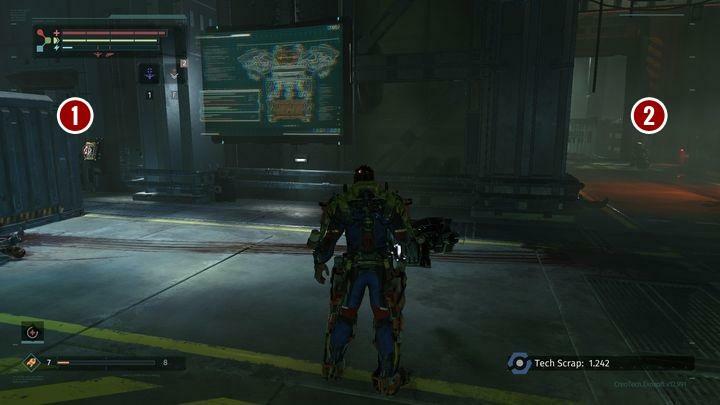 The suit of his attacks is the same as in the case of the scorpion robot in the first location. In this case, you have to deal much more damage to immobilize it and this does not mean filling the orange bar. The key issue while fighting P.A.X is stripping its legs of the armor. After you manage to do that, you will have to make it stomp its foot. If you hit the leg that the scorpion robot is standing on, while the other is aloof, it will collapse. This way, you can finish the battle in two short attacks, although stripping the armor might take some time, so do not hope for Cerberus to have as many health points after it is back, as previously. 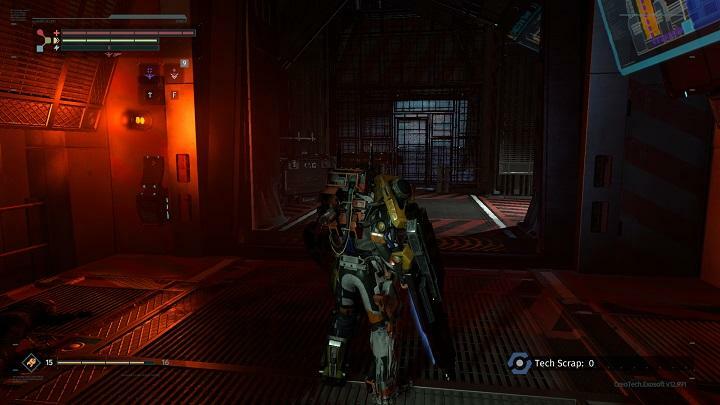 After you have defeated the boss, you gain access to security rooms and obtain CREO Exo-Rig. There is a special way of defeating the boss that requires a bit more skill and involves destroying two servers by luring P.A.X., who appears after your first contact with Black Cerberus. The square arena contains two white objects which are your target. You need to lure P.A.X. to destroy them using his rockets. Wait until P.A.X. leaves the garage and engage him. Continue attacking the opponent until you’ve managed to charge the orange bar below the boss’ health bar. The charged bar means that your enemy will begin to use special attacks, including a rocket barrage. 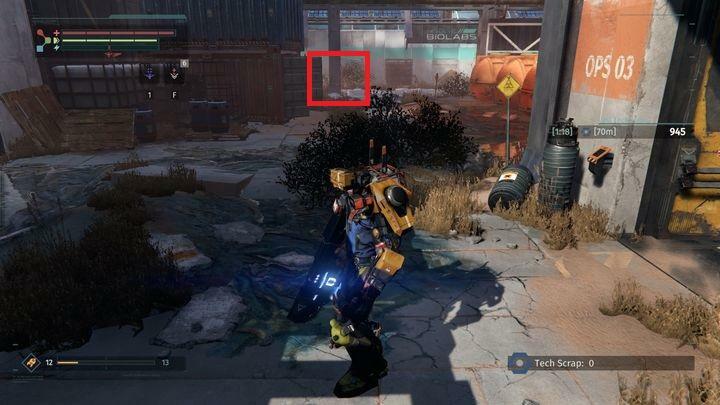 The first server can be found left from the window that enables you to see the Black Cerberus, while the second one is right next to the exo-lift you’ve used to enter the arena. Lure P.A.X. to the opposite wall and assume position right next to one of the servers. The boss should fire his rockets – dodge them in the last moment, and the barrage should destroy the server. Repeat the steps above to destroy the second object. If the both servers are destroyed, take care of P.A.X leg gear (if you’ve haven’t done that yet) and wait for his stomping attack to undercut him. Your move has rendered Black Cerberus unable to summon other units. Time to face the main boss – take care of him in any way you please. A complete set of Black Cerberus gear. 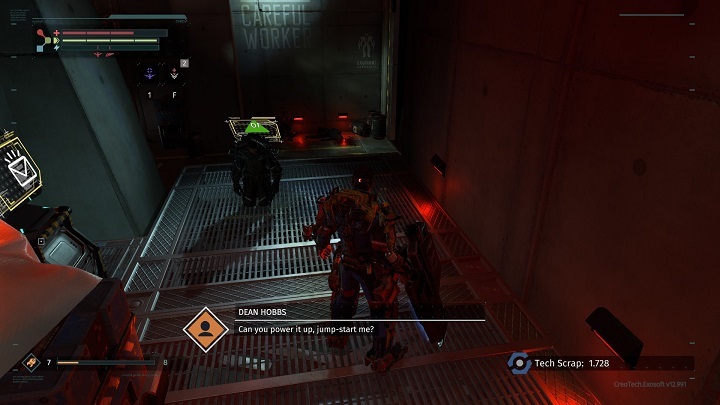 The following chapter contains useful information about the enemies in The Surge. Here you can find all of the types of foes that you will face in the game, their weaknesses, as well as the benefits of defeating them. During the game you will come across countless enemies who are the main “inhabitants” of the levels you will be exploring. Those enemies will be placed at strategic points of the map so that they are the greatest obstacle and threat to the player. They will often attack you in groups, forcing you to change your tactics – they might make surprise attacks, jumping at you from unexpected places. The enemies respawn each time you heal yourself at a MedBay. They will be patrolling the same areas of a specific location. However, as you progress with the main storyline, new and often more powerful enemies might appear in the area. By installing and using the Medical Audit implant you will be able to see their health bars – a feat impossible without the said implant. In crucial moments you will be facing more powerful enemies, equipped with unique special abilities and significantly stronger than the main protagonist. Knowledge and proper understanding of animations and even sounds of specific attacks is fundamental if one wants to survive an encounter with a boss. Defeating those foes will require the player to find and exploit all of their weaknesses. The guide contains separate chapters about every boss you will encounter in the game. Inside you will find hints that will allow you to keep your character alive for as long as possible, as well as information crucial in defeating those powerful foes. Victory in those boss encounters is amply rewarded. 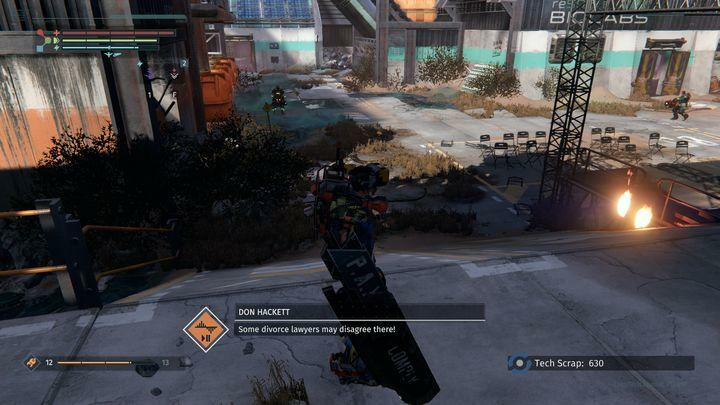 In The Surge you will receive a special weapon associated with the defeated foe, as well as a large amount of scrap that can be used to upgrade your equipment or further develop your character. During the game you will encounter two types of human enemies. The first ones were corrupted by unknown means and will be aggressive towards you. However, they are fairly incompetent in combat and in most cases won’t react to your actions. It’s easy to approach them from behind and perform a critical attack. What is more, they won’t dodge your attacks and they are using repetitive attack patterns. Depending on the location they will be equipped with medium-quality gear, although it will be improve with your progress in the main storyline. The second group of human enemies are the CREO security employees. They are fully aware, organized and extremely dangerous, especially during the early parts of the game. They will remain passive unless provoked by the player. In combat you must rely on your dodges, as the enemies are proficient in using their staves and taking their strikes head-on will quickly result in the death of the protagonist. 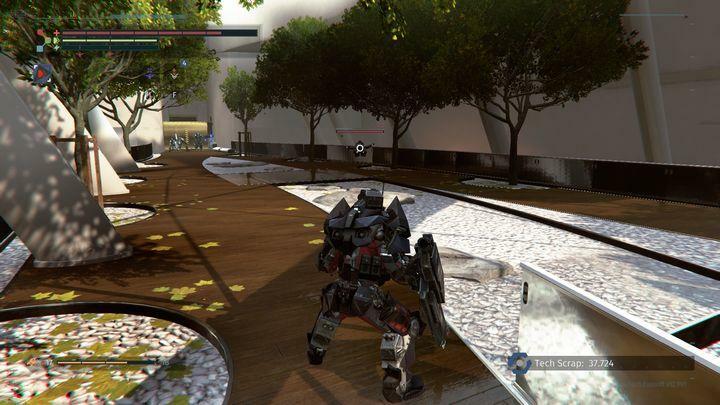 When initiating combat, they will sometimes use a paralyzing shot from the turret mounted on their left shoulder. If you fail to dodge it, you will be in serious trouble. There’s only a handful of mechanized enemies in the game that aren’t bosses. Depending on the type of the machine, those foes might have better or worse vision range and different attacks. Most of the machines will only leave scrap once you defeat them. However, if you manage to detach specific limbs off their body, you might receive additional implants. The chapter will soon be updated. 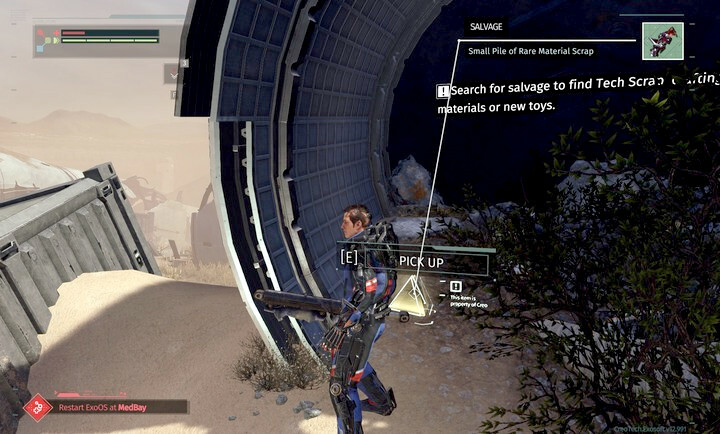 The following chapter contains hints about NPCs that you will meet during your journey in The Surge. The information you can find here will help you complete all of the quests associated with those characters. This in turn will allow you to acquire additional rewards and achievements / trophies. You will meet him for the first time in Central Production B – Material Depot. 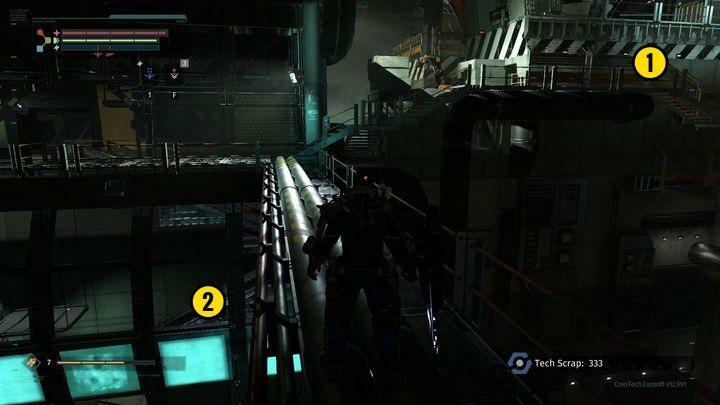 Leave the Medbay, stick to the left side, jump down to the platform located below and you will notice an immobilized man. You can overload the circuit in his exoskeleton. Doing so will free the man. Initiate a conversation, exhaust all of the dialogue options and leave. If you die or leave the location, you will find him again in the Medbay. Speak with him again in the Medbay and you will be given some materials, allowing you to upgrade your current equipment. 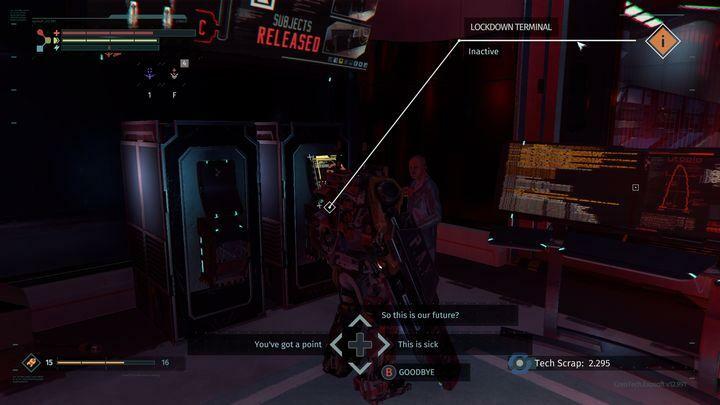 If you won’t interact with any other character, Hobbs will remain in this location till the end of the game. If you advance with Jo’s story and meet doctor Gene Berrett, you will find Hobbs body in the Medbay once you return to the location. Additionally, if you’ve given Jo a two-handed weapon – Equalizer – you will find it at Hobbs’ corpse. You can find him behind the only locked doors in Central Production B – Material Depot. Initiate a conversation and exhaust all of the available dialogue options. You will meet him again in the Medbay. Speak with the man in the Medbay and he will ask you to find a healing implant. According to the information he provided, the implant is located in Central Production B. However, you will find it in the Resolve Biolabs. If you give him Modaxinal Injector he will give you Vital Injection v.3 in return. Giving him the implant will turn Davey insane. If you won’t deliver the implant to Davey, he will disappear from the Medbay once the Research Zone chapter is complete. You will meet her in Resolve Biolabs and the whole sequence is about reaching her office. You will stumble upon two enemies outside of her office. Defeat them and Chavez will open the door. Initiate a conversation with the woman and take the BOTECS Power Core from her office. She will later appear in Medbay. You can initiate a conversation with her there, bur doing so will cause her to disappear from the location once you visit it again – she won’t be in her office either. You can mention Chavez in conversations with other characters, but it won’t advance her storyline any further. You will meet her for the first time on the floor near the train station located in the central part of Central Production B. During the first conversation she will ask you about a staff. To push her story forward, you have to give her the CREO security weapon – MG Negotiator – you’ve acquired earlier. She will also mention Smelting Machines and (requires confirmation) she will defeat one in Recycling, provided that she reaches the place before you. Another encounter will take place in the upper levels of the Circulation Tower – there you can exhaust every dialogue option, but it won’t have any impact on the story. Once you’re done in Research & Development, you will meet her in the Medbay, near the elevator leading to the arena where you fight against Firebug. She will mention her affiliation with CREO and will ask about MG Gorgon set that belongs to the security staff. The location is rather dark, which is why you might have some problems pinpointing all of the components, but once you have them a dialogue option will appear. If you hand over the elements of the set, you will meet her in the Executive Levels. She won’t be willing to let you continue and she will threaten to attack. If you defeat her and chop off the arm holding a weapon, you will acquire the Peacekeeper. 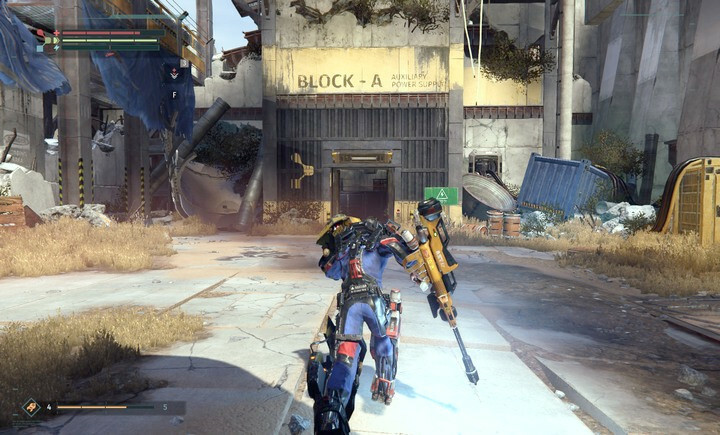 The below chapter provides information, tips and discusses types of weaponry available in The Surge. In here, you will learn which situations match with which weapons and what individual statistics of gear refer to. Weapon selection is limited to two factors – your playing style and which weapon type goes best with it. At the beginning of the game, it is a good idea to test every available weapon class and pick what suits you most. Apart from range, there are five properties that describe a weapon, which should be treated as the final factor in weapon selection. 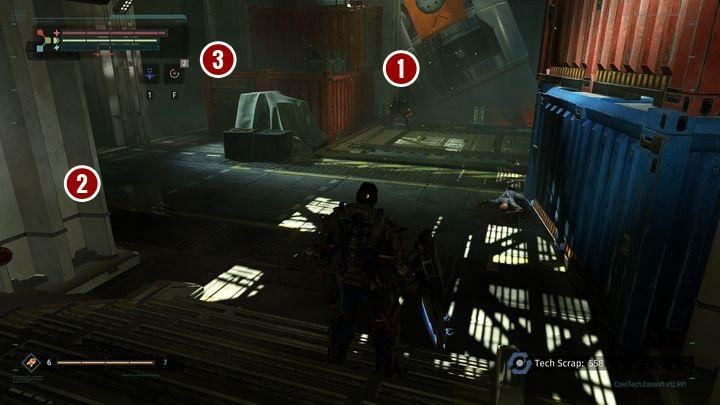 Remember that, during the game, you will be finding implants that boost individual parameters of your weapon. This is the basic statistic that tells you how many health points the opponent loses after taking a hit into an unarmored body part, or weak spot in the case of machines. This value is decreased by armors and their specific properties, as well as shields generated by the drone. I general, the higher the damage factor, the more efficient the weapon is in a variety of situations. Still, you should also take the remaining parameters into account. This parameter describes your chances of knocking the opponent out of balance in a single blow. The majority of human opponents (depending on the armors they wear) have different stability parameters. If the weapon’s momentum value is higher than the armor value, the opponent may be knocked down, which will let you deal some more damage. Finally, with a series of blows, you can thwart opponent’s counter attack, or knock him out of pace in situations, in which he wants to strike. This statistic does not require any explanations. The higher the value, the more blows you can land within a specific time limit. This parameter describes how fast your character will master the specific type of weapon. Proficiency allows you to deal higher base damage with the weapon type, even if the statistics of that weapon have not changed. For each type of weapon, this statistic is scaled separately. This means that picking a weapon at the beginning of the game is nearly synonymous with the necessity to complete it using that weapon. The higher the value, the faster you will be familiarizing yourself with the weapon and the more effective you will be at wielding it. The final value tells you whether or not, you will have to land many strikes with the weapon to charge the energy bar. What makes this important is that the energy accumulated in your exoskeleton is what allows you to perform executions. What is even more, the higher the value of the statistic, the more likely you will be to use implants or drone functions that consume energy. The basic and the most versatile weapon type. Don’t expect any serious damage, but the attack speed offers quick hits and a quick recharge of the energy bar. The best weapon for novice players and those who haven’t had any major experience with the genre. Found in your equipment from the beginning of the game. Can be found in Power Plant (Abandoned Production). Either sever it from the opponents found in the area, or find one lying on the floor. Found in one of the laboratories in Resolve Biolabs. Severed from Homo Machinalis, a boss encountered in Research and Development. Severed from a mini-boss encountered in Research and Development before the meeting with Dr. Bennett. A security weapon that can be severed from opponents in Executive Forum. Alternatively, you can overcharge a conduit in the Server Room to unlock a case containing the weapon (found in MedBay right next to the second case which contained security exoskeleton which you’ve taken earlier. The weapon is a reward for defeating the final boss. The other variant of a one handed weapon. Characteristic for its powerful hits and the ability to throw the opponents off balance. Deals serious damage, but the attack speed is lower than in case of a One-Handed weapon, while its strikes charge the energy bar much faster. A good choice for players that prefer to throw single hits mixed with constant dodging, and experienced players that will be able to find an opening in opponents’ defense. Can be acquired by defeating the first human opponent that you’ll encounter after leaving the MedBay in Abandoned Production. Found on the bottom level of the Power Plant (Abandoned Production), at the end of the corridor filled with toxic gas. Acquired by defeating P.A.X. without being hit by any of his rockets. Can be acquired from enemy opponents in Central Production B. Acquired by defeating the CREO security that will appear in Exhibition Floor (Research and Development) after your meeting with Dr. Bennett. Acquired by defeating the opponents encountered on the first floor of Nucleus. The easiest two-handed weapon. Medium damage with long range and fast combinations. Good choice for novice players that want to choose a two-handed weapon. The only downside is the lagging energy bar. IF you’ve decided to equip a Staff, make sure to use implants that offer better stamina or faster energy recharge, enabling you to throw more hits in a shorter amount of time. Found in Central Production B’s MedBay. Acquired by defeating the security units of Central Production B. Warning – the security units do not respawn, so you are left with four attempts to get the weapon. Found on the floor in Central Production B’s Recycling. Awarded for defeating Little Sister 1/3. Awarded for defeating Little Sister 1/3 without destroying more than two arms during the second phase of the encounter. Found in Research and Development. Once you’ve managed to gain access to the Nucleus, return to the Exhibition Floor. Take the weapon from an unlocked container next to the MedBay. The weapon can be acquired from Irina Beckett, provided you’ve completed her storyline. Focus on her right hand and sever it to acquire the weapon. A sluggish weapon enabling the player to throw his enemies off balance and interrupt their combinations. Using this type of weapon requires a lot of experience with this type of genre. Monitor your energy consumption to be able to dodge and plan your attacks beforehand. In return, you receive a weapon that can charge the whole energy bar with a single hit, enabling you to end it with an execution. You can acquire the weapon in Abandoned Production’s Power Plant by severing it from an opponent who will ask you to release him from behind the door. A fairly common weapon in Central Production B. Found in Central Production B’s Recycling, on a shelf found left from the entrance to the room next to the smelting machines. Awarded for defeating Black Cerberus. Found in Research and Development. If you’ve handed the weapon to Jo in order to continue her plotline, the weapon will be found next to Hobbes’ body in Central Production B. One of the more difficult types of weaponry. Requires a lot of experience and skill, as well as constant energy management. Claws deal average damage and slowly replenish the energy bar, but enable us to throw quick combinations. If you’ve decided to roll a Twin-Rigged weapon, choose one that offers high Proficiency Scaling in order to be able to switch to a different one later on. You can acquire the weapon from two enemies found in Abandoned Production. One of them can be found in the Power Plant (next to the power switch), while the other one can be encountered once you’ve unlocked a shortcut leading from the Power Plant up to the MedBay. 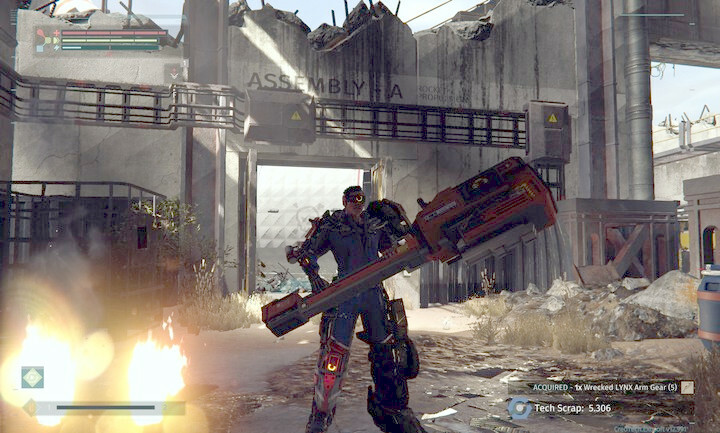 The weapon is a reward for defeating LU-74 “Firebug” – the second boss in game. 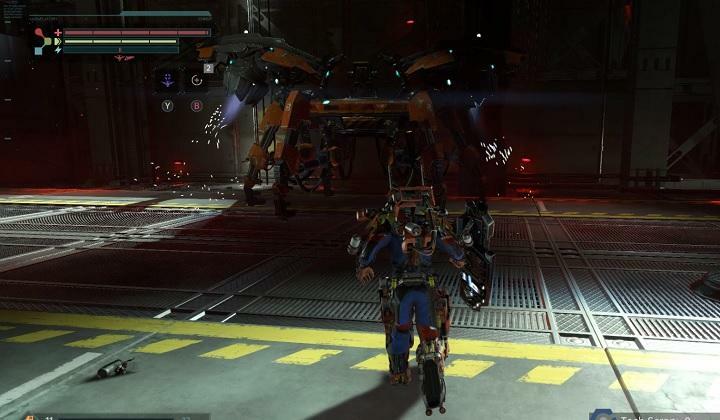 Awarded for defeating LU-74 “Firebug” – the second boss in game, provided you’ve got rid of all his legs. Severed from opponents encountered in Resolve Biolabs. Found in one of the cases in Exhibition Floor. Awarded by defeating Dr. Barrett after his transformation into Homo Machinalis. You can encounter this form once you’ve visited Executive Forum. The weapon is a reward for defeating the final boss in game. The below chapter discusses how to swap weapons without the necessity to access the inventory screen. The game does not state it overtly, but, you can swap your weapons without having to access the inventory screen. For each controller, the key that makes it possible is different, which is why you should view the dedicated chapter to learn about that. You are free to use several types of weapons interchangeably and swap them depending on the situation. What makes this useful is that some of the weapons deal more damage, whereas some are characterized by higher impact, or energy gain. The ability to swap weapons during a single battle can give you the upper hand, if only you focus on what you want to achieve this way. All in all, the entire process is very simple, but it is not on display, which makes it easy to miss. In the inventory, you have to pick the weapon that you want to use. By default, that weapon will be set as the favorite one. You can move the pointer over any other weapon and press the dedicated button to favorite it. After you access the inventory, there will still be only one weapon specified as “equipped”. By the icon of the weapon that you are not currently using, a start will appear, which means that you will now be able to swap between the current weapon and another favorite weapon. The game allows you to favorite all types of weapons, but using more than three at a time introduces chaos and may turn out to hinder you. The following chapter explains how to acquire new equipment blueprints that will allow you to create them at the Medbay. Additionally, you will learn how to acquire the weapons that the enemies you face have at their disposal. Excluding the items that you will be able to find scattered around the map, most of the pieces of equipment can be acquired only from enemies. This, however, applies only to the human enemies. How to acquire armor blueprints and components to upgrade it? The principle in both cases is the same. You need to chop off one of the limbs of the enemy, or to be more specific, the one that has the piece of armor you want to use attached to it. Remember that the limb must be armored and you have to hit mainly the limb. Otherwise, you won’t be able to cut it off. Refrain from using special and aerial attacks, as you can miss the target, deal the most damage to another part of the enemy body and causing it to be the one that will be cut off. Acquiring blueprints and crafting materials works in the same manner. Once you acquire a piece of armor, you will also receive the blueprint for that item. Each subsequent part that you will manage to cut off will only give you more components. Note that you can acquire multiple components from a specific part of the armor. Additionally, it’s worth to collect more than you potentially need. In later parts of the game mk. I components are necessary and you can acquire them only at the beginning of the game, or by backtracking to Abandoned Production. Similarly to armors and blueprints, acquisition of weapons works exactly the same – by cutting off the enemy limb that holds the weapon you want to get. The first time you acquire the weapon, it will be added to your inventory and you will be able to use it in combat. Each subsequent acquisition will reward you with Tungsten Alloy. The level (“MK. X”) of the alloy is directly connected to the tier of the weapon you’ve acquired. Proper selection of weapon is equally important, especially if you, as a high-leveled character, backtrack to the first location to acquire components. Select a weapon from the same class as you’re normally using, but use an unupgraded version. You need to have low enough damage so that your combo charges the energy bar. Otherwise, the enemy will be killed without the opportunity to use an execution and the only thing that you will acquire will be scrap. 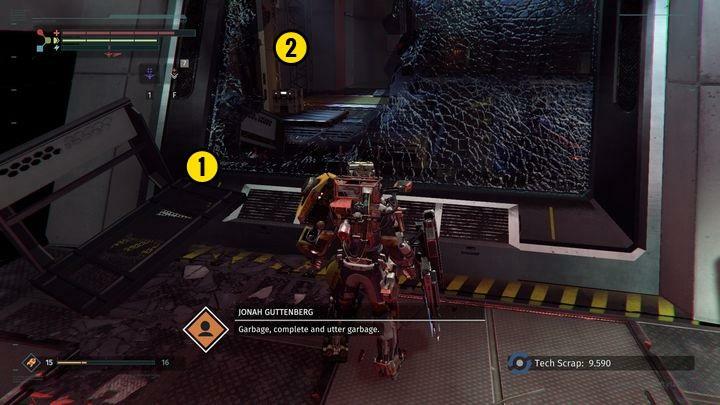 The chapter below contains a small loophole that will allow you to amass larger amounts of Tech Scrap, which is used as currency for upgrading your character and his equipment. Amassing scrap may prove to be difficult, as you’ll encounter more and more powerful enemies in the course of your journey. However, the opponents which you’ve encountered in the earlier locations may be exchanged to security guards, who may prove to be quite difficult, but yield much more Tech Scrap. Lure the opponent as close to the MedBay entrance as possible. You can jump, which is definitely an audible move, or simply use a drone to engage your enemy. Defeat the opponent and loot the scrap, then enter the MedBay. Now, instead of using the Medbay, interact with the Gear Assembly to respawn the enemy. Repeat the process until you’ve amassed the needed amount of scrap. Surprisingly, this approach is more than viable, considering that the amount of looted currency increases the longer you avoid using the MedBay. The multiplier is nullified in case of death, so stay close to the MedBay to be able to pick up your scrap in case you were defeated. The whole process is dreary and repetitive, but it is the most convenient way of amassing scrap. Consider acquiring the reclamation implants (Reclamation Buddy) as these can increase the amount of gained scrap even up to 40%. The chapter below describes the contents of the rooms beyond the locked security doors found in the initial areas of the game. You can revisit and open them later on to retrieve the items found inside. When can I access the door? 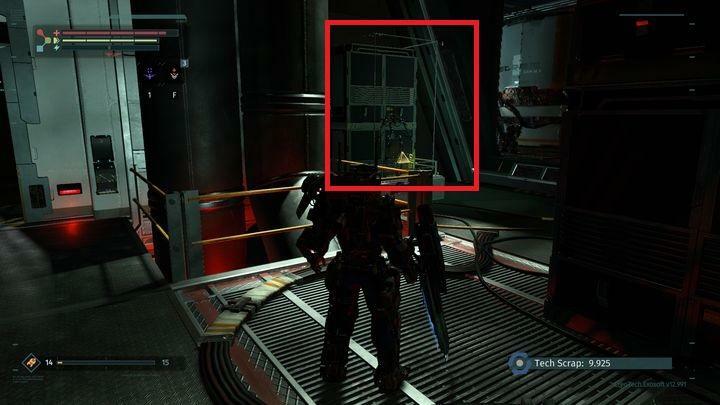 Each door requires you to wear a security rig which can be acquired after defeating Black Cerberus. Once you’ve equipped the new rig, return to the initial locations to open the door and retrieve the items found behind them. You can find the security door by turning right after leaving the elevator which is used to access the zone boss. The room behind the door contains an implant – Vital Injection v.5 – and a message panel that contains a recording: Failsafe Protocol 97:17:04. To access the security room, travel to the Biolabs’ MedBay, then proceed through the lower floors to the elevator that leads to the courtyard. The area behind the door contains two implants – Pneumatic Calibrator v2 and Red X-Cables. 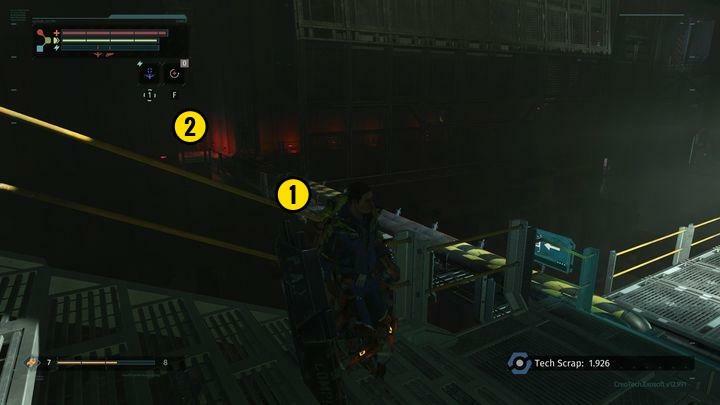 Aside from the above, the room can be accessed from two different locations (three doors leading to a single room), and you can use it to skip your treks through the zone. 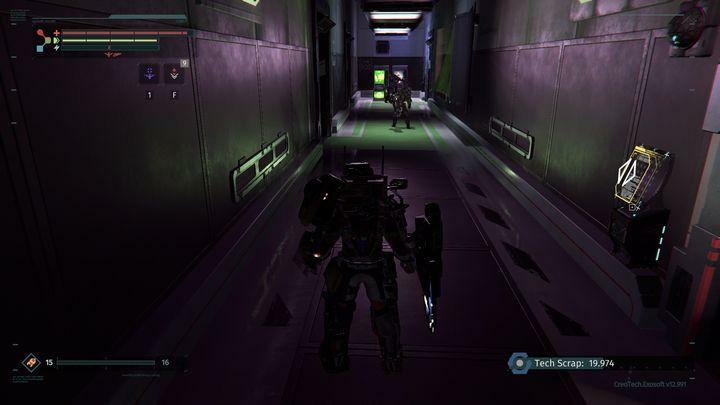 The security room contains an implant – Vanadium E-Cell v3, and a weapon – MG Negotiator. This security rom is larger and contains a few opponents. Defeat them to acquire Chrysalis armor and their weapons. Aside from the enemies, you can find three recordings: Failsafe Protocol 20:51:40; Dr. Lawrence Murphy, Log #17 and Dr. Lawrence Murphy, Log #14 and a conduit that can be overcharged in order to unlock the cases on the Exhibition Floor. Unlock the security door, then jump through a guardrail to find a recording (Case File Dr. Chavez – Excerpt) and Vital Injection v5. Use the exo-lift to access the upper floor, which contains two additional Vital Injections v5. 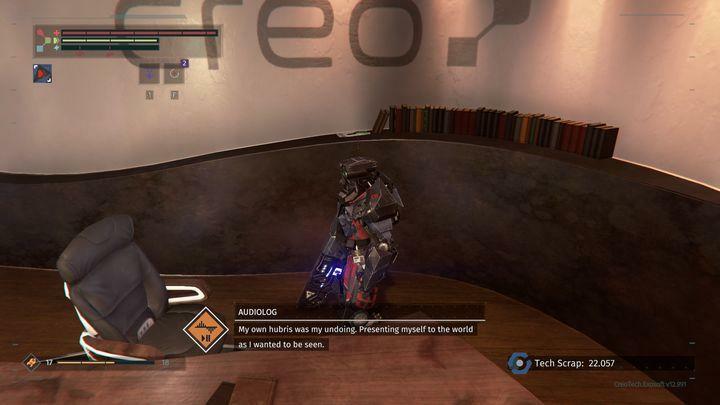 The following chapter The Surge includes a full list of available trophies and achievements. In total, there are 47 achievements / trophies – 1 platinum, 1 gold, 13 silver and 32 bronze. Tips: The trophy will be unlocked as soon as you unlock the last but one achievement. Tips: A description of this boss fight can be found in a separate chapter of the game guide. Tips: The trophy will be added to your account once you begin the gameplay in Abandoned Production. 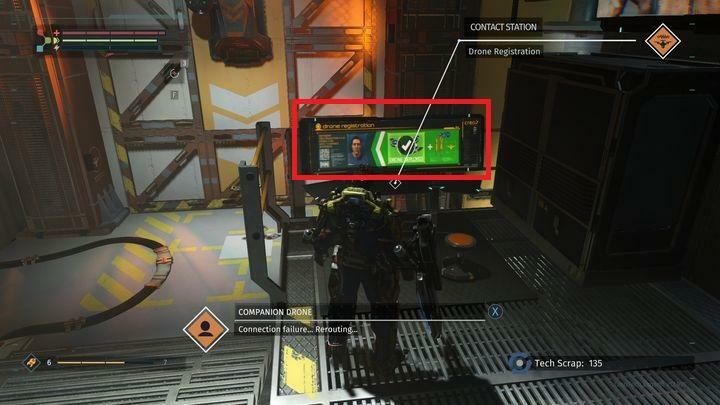 Tips: Collect the gear ticket that you selected when joining Creo. The trophy will be added when try to craft your own gear for the first time. Description: You died for the first time. Tips: Get your private support drone at the beginning of Central Production B. Description: Modify your Rig for the first time. Tips: A better Rig can be found in Central Production B during your second visit in the location, before you face the Big Sister. In order to collect it, you will first have to break the cabinet. You can upgrade the Rig in the Medical Station, before you actually fight the boss. Tips: it’s best if you won’t use damage parts of your gear (in your inventory) for some time. Gather enough Tech Scrap from your enemies and covert the capacity of your inventory to unlock the trophy. Tips: The chapter devoted to gear, includes a list of elements, which are part of the set and information where you can find them. Description: At least once, cut off all limbs of human enemies. Tips: select unprotected limbs to cut the off quickly. After playing the game for about one hour you should be able to unlock the achievement. Description: Defeated the security chief of Echelon 9. Tips: You will find the description of the boss fight in the dedicated chapter of this guide. Tips: After you reach the door of the Management Board’s office, go right and enter the room on the right. In the corridor that leads up to the lift, you will find a recording studio and the dead Don Hackett inside, Check the Management Sectors chapter. Tips: Defeat Black Cerberus and enter his guard booth. In the maintenance corridor at the ground floor, you will find the Overcharge panel. Crack the security measures and continue along the corridor. This way, you will have gained access to the Medical Station. Enter and break the display case to obtain the upgrade. Tips: You receive this achievement after you enter the CREO Management Board office. You will see a cutscene with Sally. Afterwards, wait to receive the trophy. Tips: You can find whereabouts of the individual audiologs in the dedicated chapter of this guide. Tips: The trophy can be scored in the first zone (Abandoned Production). To acquire the needed weapon (ASTir Specter Bite), defeat the first human opponent you encounter after leaving the MedBay by severing his right hand. To do so, continue attacking him until the energy ball is full, then perform an execution and remove the limb. This will allow you to acquire the needed weapon. Make your way to the power plant. You can access it from the first floor of the Assembly Hall, provided you’ve managed to overload a conduit earlier. Other entrance leads through the Assembly Hall’s boss encounter. The way to the conduit leads through a narrow corridor lit with a blue light. Equip the ASTir SpecterBite and use it to defeat one of two human opponents in the area. A successful kill will be rewarded with the trophy. 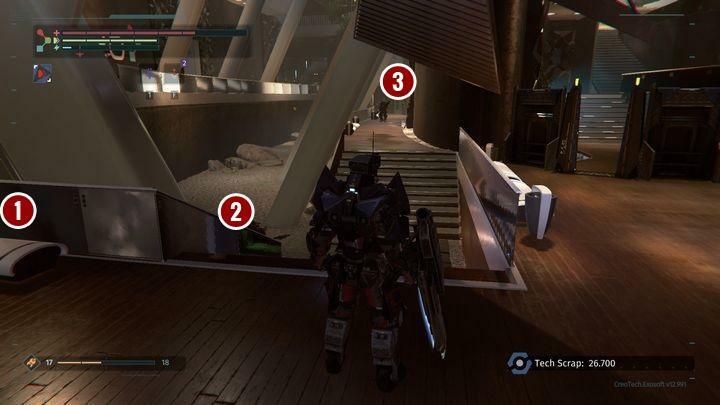 Tips: There are three guards at the elevator, several drones and a scorpion robot. Lure out all of them, apart from the main guard. Kill him as the last one. Fighting the guard resembles fighting the Black Cerberus, but he is much more vulnerable to damage. Defeat him to gain access to the passage in the Management Sector. 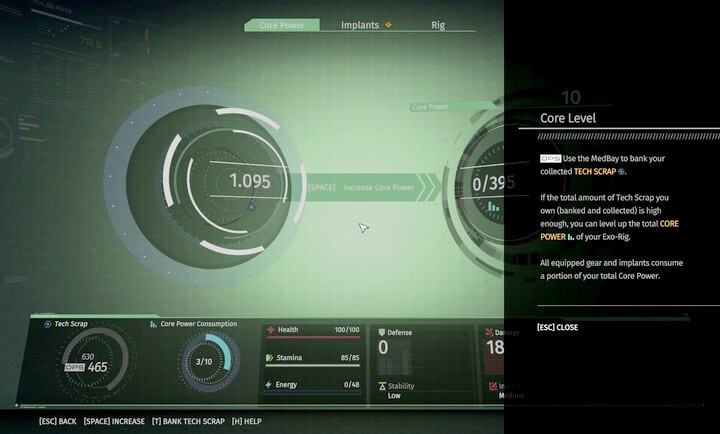 Tips: You can find the core in Melissa Chavez’s office in Resolve Biolab. You only have to pick it up and the drone will now be able to overcharge power lines above it. Tips: You receive the trophy after you have collected all 6 Ironmaus comics. Their whereabouts have been provided in the chapter dedicated to this achievement. Notes: Make your way to Executive Forum and visit the server room found next to the CREO office. Overcharge the conduit to cause a fire of one of the servers found on the floor below – Interact with it to unlock the achievement. A small tip – the server in question is located left from the large overload panel. Notes: The achievement is a reward for finding the sunglasses. The item can be found in Research and Development, provided you’ve hadn’t gone through with Jo’s story. Moreover, you’ll need a Toxic Autofilter, an implant that makes you invulnerable to toxic fumes. More details can be found in a dedicated chapter. Tips: Complete Davey’s plotline to receive the achievement. Once you’ve delivered to needed implant, the trophy will appear in your collection. Remember that the quest becomes unavailable once you’ve visited Research and Development area for the first time. More details can be found in the chapter dedicated to NPCs. 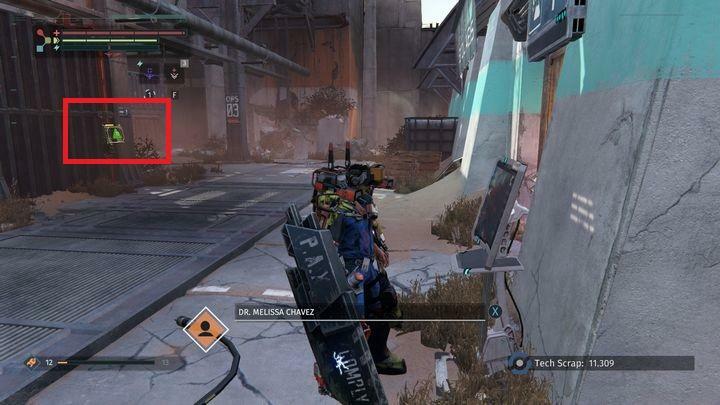 Tips: The locations of the Nano Cores and tips on weapon upgrades can be found in the dedicated chapters of this guide. Tips: The achievement is a reward for completing Alec Norris’ plotline. 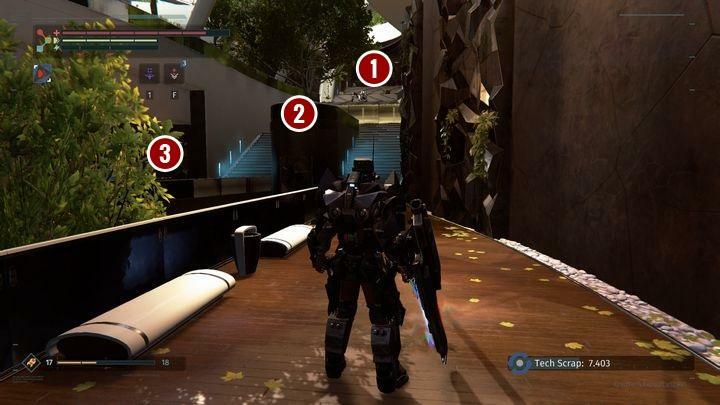 A detailed walkthrough can be found in a dedicated chapter of this guide. Tips: The locations of the individual recordings can be found in a dedicated chapter of this guide. Description: Find all of Dr. Murphy’s recordings. Tips: The locations of the individual recordings can be found in the dedicated chapter of this guide. Tips: Dr. Gene Barrett can be found in Research and Development. Your first encounter will end up in a conversation. Once you’ve used all of the dialogue options, proceed to the Executive Forum to find the CREO board and deactivate the blockade. 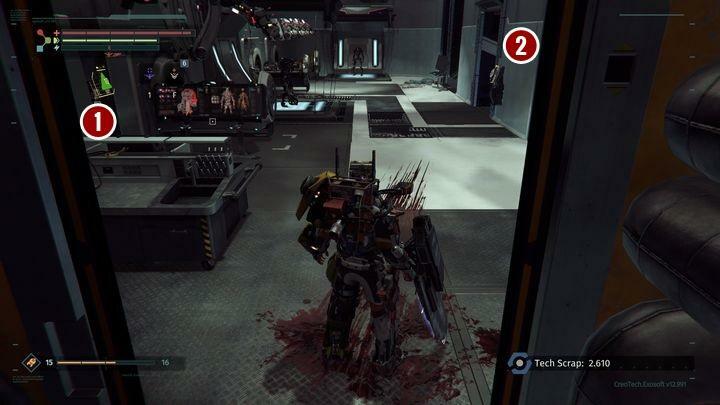 Return to the Research and Development and kill the transformed Barrett to unlock the achievement. Tips: Keep in mind that accessing your gear will pause the game. If the fight goes according to your plan, use parts of your gear to generate 20,000 Tech Scrap that you will have on you when dealing the final blow. 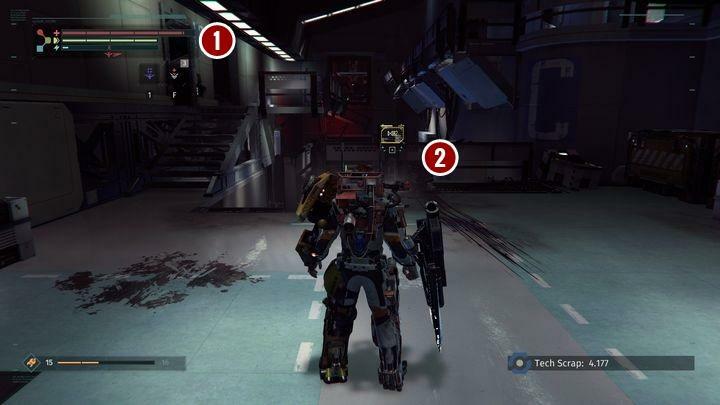 Tips: Before you complete the second stage of the game, you should be able to collect a weapon from each of the five weapon types. The first two stages of the game are quite easy, so it’s a good idea to reach the required level of weapon proficiency before you move on. 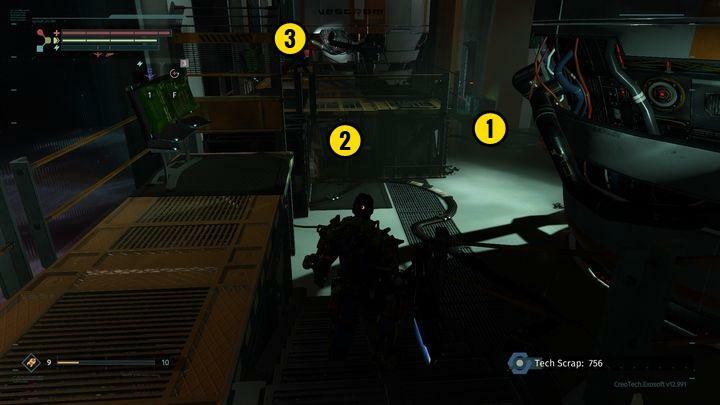 Tips: you will unlock the achievement, as soon as you defeat all four Creo Security Guards (two in the warehouse and two more at the station where you met Irina for the first time). Once killed, they will not respawn, as long as you won’t leave the location. Just remember to lure them out with range attacks of your drone. 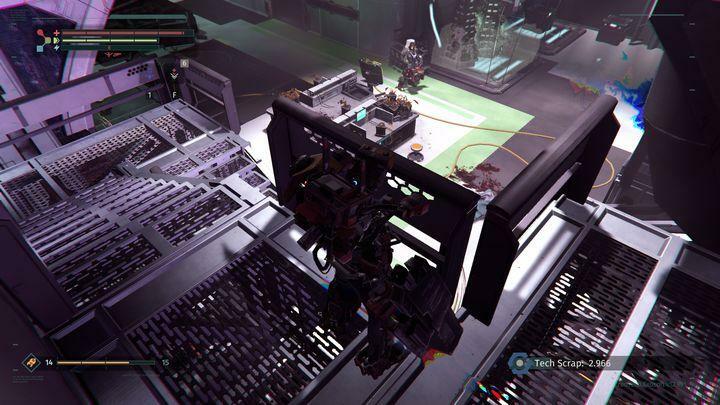 Tips: The first smelting scorpion robot is at the Abandoned Production Floor, next to the area with the poison fog. The next two are in the at the recycling floor of Central Production B. 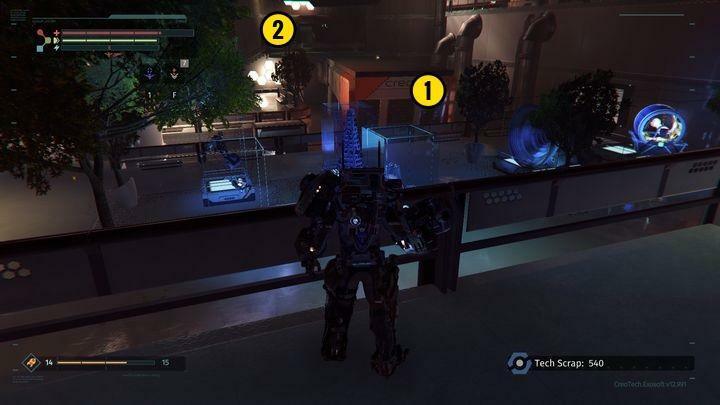 You can get to the fourth one from the main yard of Resolve Biolab. The fifth one is at the ground floor of Ventilation Tower. Tips: Whereabouts of individual audiologs have been provided in the dedicated chapter of this guide. 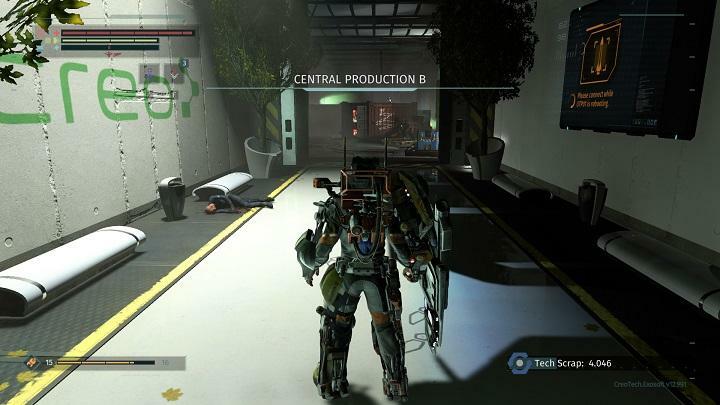 Tips: The trophy can be unlocked during your first visit to Central Production B. Visit the zone’s MedBay and travel to Material Depot. The first opponent is waiting for you on the platform on which you’ve encountered Hobbes. Jump below and kill him. Turn left to enter the bridge and defeat the encountered opponents, then descend down the stairs. You can turn right in the middle of the staircase and climb the parallel staircase. Don’t worry about the sentinel – he should stay idle. Reach the top of the staircase and make your way to the containers. You’ll encounter a few opponents on your left – fortunately they will be busy watching the flashing lights of Iron Maus vending machine. Lure them one by one – defeating the whole group will unlock the achievement. Tips: The trophy is a reward for completing Irina Beckett’s plotline, including the completion of all available steps. More details can be found in the chapter on NPCs. Description: You’ve acquired the Black Cerberus and MG Judge sets. Tips: The trophy will be awarded once you’ve created both sets. The individual blueprints can be found during the Black Cerberus encounter, provided you’ve managed to destroy two servers during the P.A.X. encounter. If the servers are destroyed, defeat Cerberus to receive the whole set, as well as an upgraded version of his weapon. IF you weren’t successful, begin a NG+ playthrough – the set is equipped by opponents found in Resolve Biolabs. Tips: The trophy can be acquired by completing Jo’s plotline, i.e. by bringing her Tech Scrap three times. More details can be found in the chapter on NPCs. 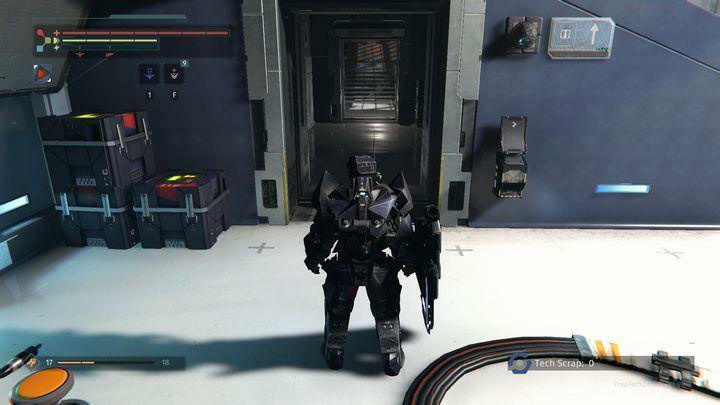 Description: Upgrade an armor set using a Nano Core. 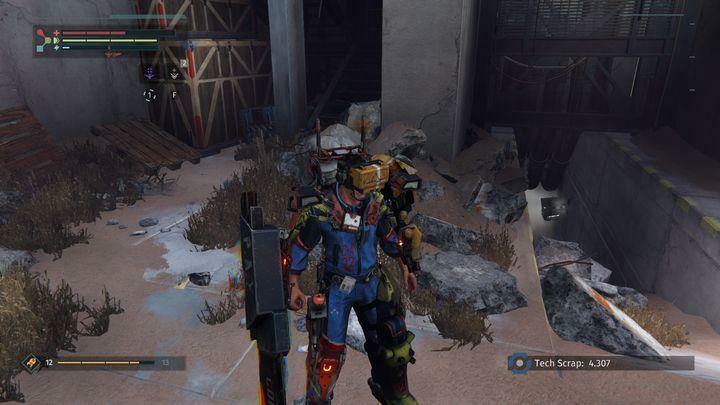 Tips: The trophy will be unlocked once you’ve upgraded a full gear set using a Nano Core. The locations of Nano Cores and tips regarding the upgrading can be found in the specified chapters of this guide. Tips: The achievement can be unlocked during a NG+ playthrough, as these weapons are a reward for defeating the boss, which means that you’ll need to begin a New Game +, a mode that will allow you to keep the equipment from the previous playthrough. Begin a New Game + and equip the weapon before the encounter, and the achievement will be yours. Only the final hit counts, so you can just as well use a different weapon, then switch to the needed one and deal the final hit. Description: Finish the game after corrupting the Utopia protocols. Description: Gather the Iron Maus gear. Tips: The achievement requires you to defeat all smelting machines (5) and gather the leftover coins. Once you’ve got all five, make your way to Central Production B. Visit the Iron Maus vending machine (which was a background to the Infidel achievement). Interact with the vending machine and use your coins to unlock a secret room. The exact location can be viewed in the dedicated chapter of this guide. Requires a graphic card that supports DirectX 11.